How to manage a busy tanning Salon this Season! As we get into the spring and summer months, here at Salon Tracker we know that there will be an increase in people desperate to get that pre summer tan. With this in mind we know that tanning salons and sunbed shops will be getting a large increase in customers in this time. Due to this we decided to share with you our little tips and tricks on how to manage your tanning salon during these busy periods. 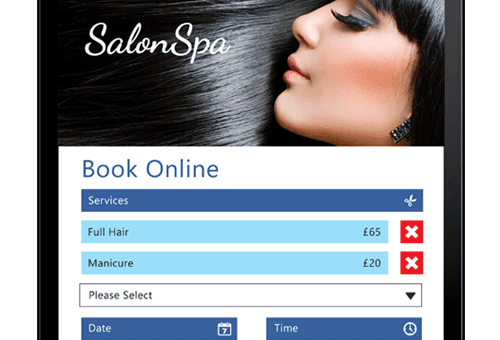 Online booking is a great feature to have in your salon, especially in these busier periods. As your customers are pre booking beds and are choosing what times they want to be going on, this means there will be a shorter wait time. This will make the busy tanning experience more enjoyable for both your customer and staff members. This is because customers will no longer have to wait ages for a bed whilst it will also mean staff are less stressed and will therefore be happier when they’re at work. I know you're all probably wondering how we got to spring so quickly and where did those 3 Months since Christmas just go?! 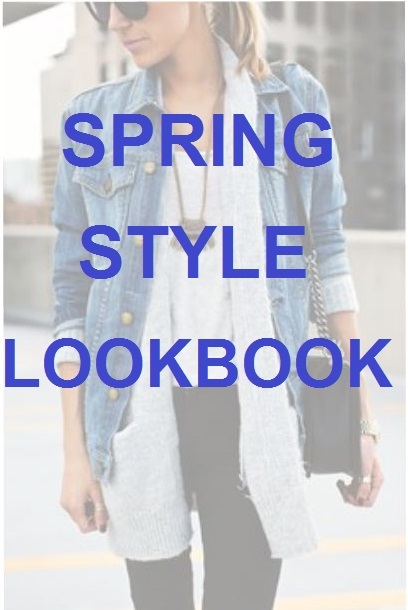 Well there's no time to dwell... Spring is upon us and we are loving some of the styles that are IN this year. We've got some budget fitting styles we think you're going to love just as much as us, and we've even included the link to make it that bit easier for you. Well aren’t we a lucky lot, 3 Bank Holidays coming up, weeks apart from each other! Easter is really late this year, but sometimes that’s a good thing for salons, as it’s further in to the Spring months and so you can really push your new season products. You always have the footfall in Spring/Summer anyway, and with all of these Bank Hols thrown in, it’s an extra Marketing freebie for you to use to your advantage. There’s lots of ways that you can advertise and also run some mini salon-events/promotions around Easter and Spring Bank. 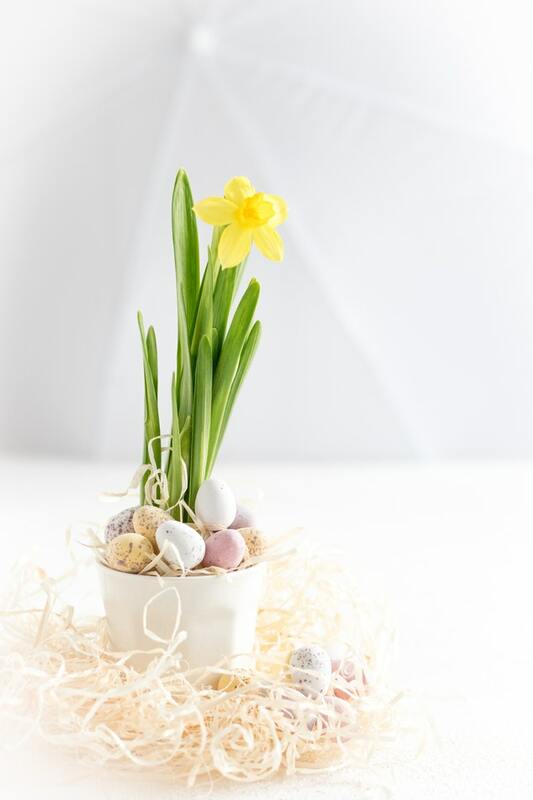 Plus, over the past few years through our research and speaking to people, we’ve heard that it’s not always about Easter eggs, people actually apparently now get Easter gifts - bonus for your salon’s retail sales! But also, a great time to introduce friends and family events, as we all know the Sunday’s of any Bank Holiday are prime-time for going out! You could create pamper packages for the girls and grooming kits for the guys, or couples’ sunbeds (depending on what type of salon you are) – but you get the idea. As we know with winter finally coming to an end and spring arriving, it will officially be tanning season before we know it. Here at Salon Tracker we know how busy tanning salons can get at this time so we have many technicians and developers working on new ways we can help with the running of these salons. One feature we have come up with to help is online booking and we feel there are many ways in which this can help with the running of your Salon. With Mother’s Day being right around the corner, this is the perfect opportunity for you to up your marketing game and make the most of this annual celebration. There are plenty of different ways that you can market to your customers, but today were going to focus of SMS campaigns. So, we’ve put together a few different examples of campaigns that you can send out to your customers. 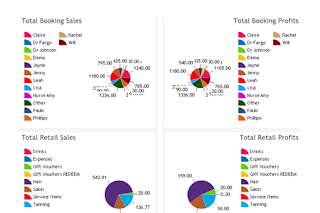 Feature of the Month: Smart Stock Management! 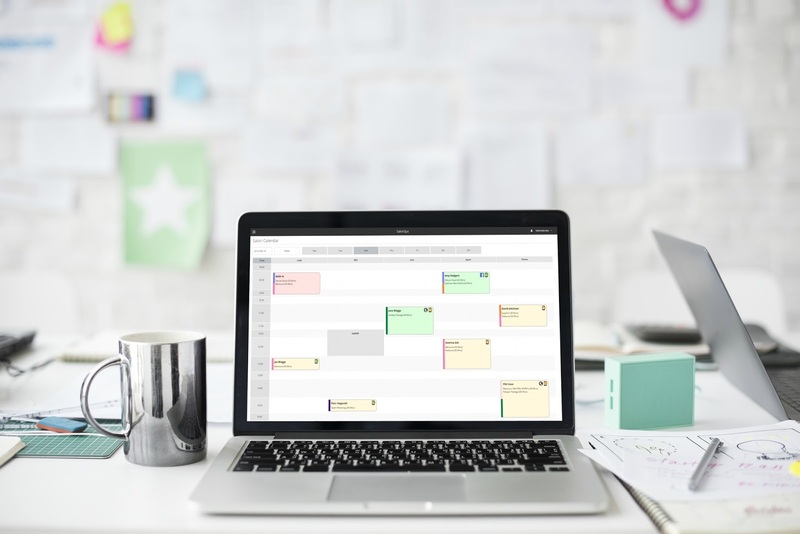 As we approach the busy Spring and Easter period, we just wanted to highlight one of our in-built management features that can really help you with the organisation of your salon during peak seasons. So, let’s talk Stock-Control! Presumably, you all run stock takes on a regular basis to check that your inventories match up. Whether this be on paper, or through your own current stock-management system, it is imperative to be on top of this within any business. 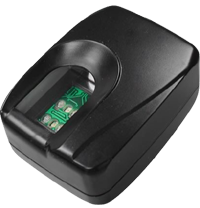 However, by using a barcoded, computerised solution, this can improve the accuracy of your stock-control methods and have a whole range of other benefits too. How we can help manage multi-sites. licence of the software where you can access all of your sites from the comfort of your own home. This copy of the licence is exactly the same as the ones at the shops so you can do everything as you would be able to do in the shop; this includes: making bookings, editing bookings, cancelling bookings, running all reports, marketing campaigns, staff rotas, stock checks and managing client cards without having to visit every salon… perfect! Hello, hope everyone had a lovely weekend in the sun! Or if you were at Professional Beauty London, like us, then we hope you made some good purchases for the salon! Speaking of this unseasonal sunny weather, we thought it’s about time we had a chat about Spring and how you can use the next few weeks to ensure you salon is Spring-ready! With the weather being as it is, Spring might not be as long away as we thought! So, what can you do to be prepared? 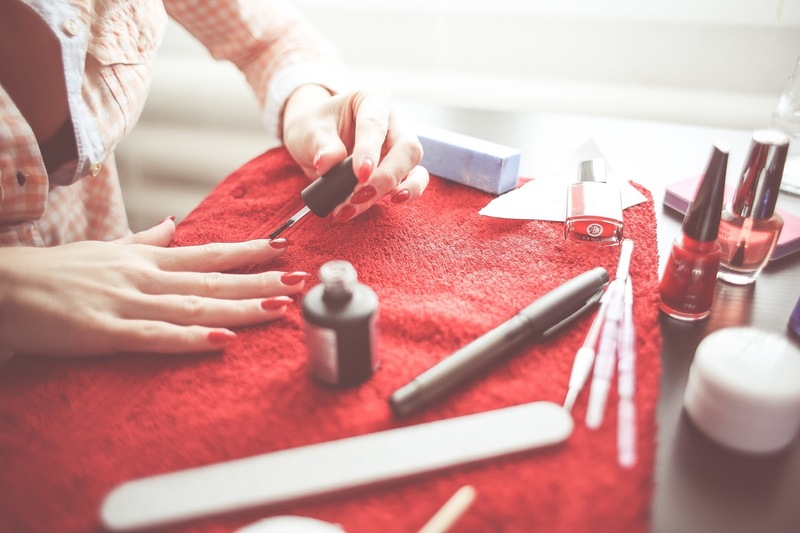 Of course, having a busy salon is what every salon owner wants, but when you have a queue out of the door it can be difficult to spend 5 minutes registering a new customer. 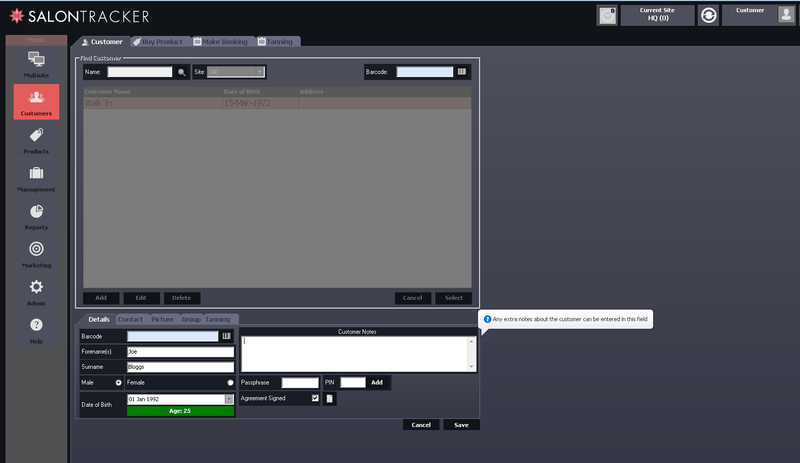 This is where our new and upcoming feature will make your lives much easier. For anyone that isn’t sure on what QR Codes are, they’re similar to a barcode, and will enable your customers to easily visit a specific link just by scanning the code. You’ve probably seen them before in shop windows or on advertising boards. Our new QR Code integration will allow our Enterprise subscription customers to give customers the ability to easily register their own customer account online on their phone. Below is an example of one that you could have in your salon. Most smartphones work with the QR Codes, as you can see using the camera on iPhone will bring up the website immediately for the customer just from holding the camera over the code. Getting Ready for PB and what to expect from Salon Tracker at the show! 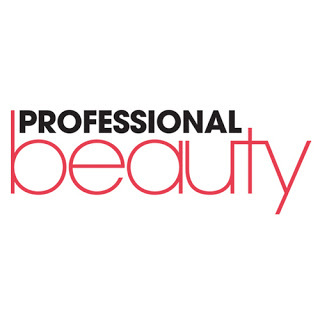 Its less than 2 weeks until we will be exhibiting on stand W28 at the Professional Beauty London show! We thought we’d put together a little blog to let you know what to expect from us at the show. 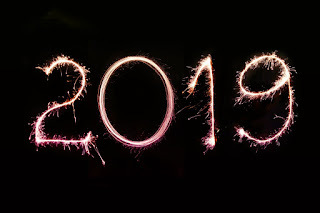 All the social media and marketing tips you'll need to make 2019 your best year yet! So the long Month of January is finally over! I hope you've had a good month (as good as it can be in January)... but if you haven't had such a good month and you're worrying about what next steps you should take; consider going on a marketing spree and the results will follow for a better February and March. 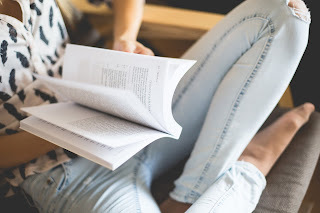 Carry on reading to find out some of our best tips! 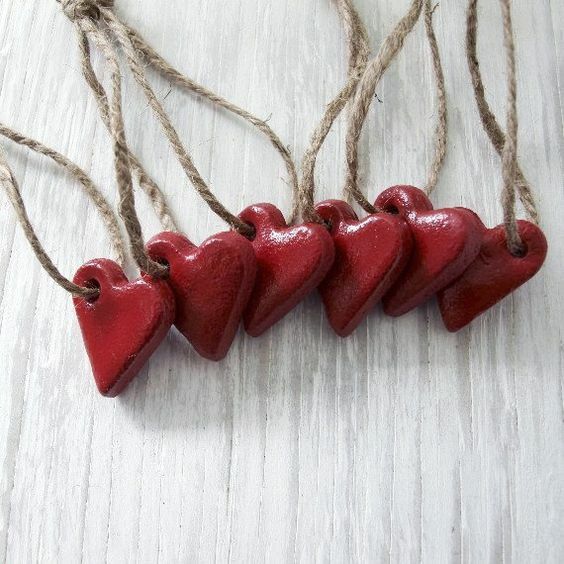 Valentines Promo and our Gift Guide! Valentines Day is right around the corner with many people wanting to treat their significant other, meaning great business for salons. There are many different ways that your salon could optimise the surge in demand for your services and we through we’d also throw in a few of our gift ideas. Beauty, Hair or Barbering academy? Here at Salon Tracker we know how hard it can be managing all those customers, students and appointments in just one paper book… Crossings out here, ripped pages there and missed appointments everywhere! So, we’ve come up with a tailored service especially for Colleges like yourselves, which will make your life so much easier. This time last month I’m guessing you were rushed off your feet, and now maybe not so much... For many of you, January tends to a quieter month where sales can be quite slow, so this is where you need to use all the marketing tools you can to ensure that you’re still generating those sales. January also gives you the time to re-evaluate your salon, this could be by updating the pricing, looking at new services and retail products you might want to introduce, giving the walls a fresh lick of paint and just reflecting on the last year to see what you could do even better! There are multiple approaches you could take in your quiet periods to really boost those sales: 1.Aim to get new customers in 2. Reward you most loyal customers 3. Target those that haven’t visited your salon for a while 4. Refer a friend. Hello, Happy New Year! How has everyone’s first week back been? Hope you’ve all caught up from Christmas and are back in to the swing of things! 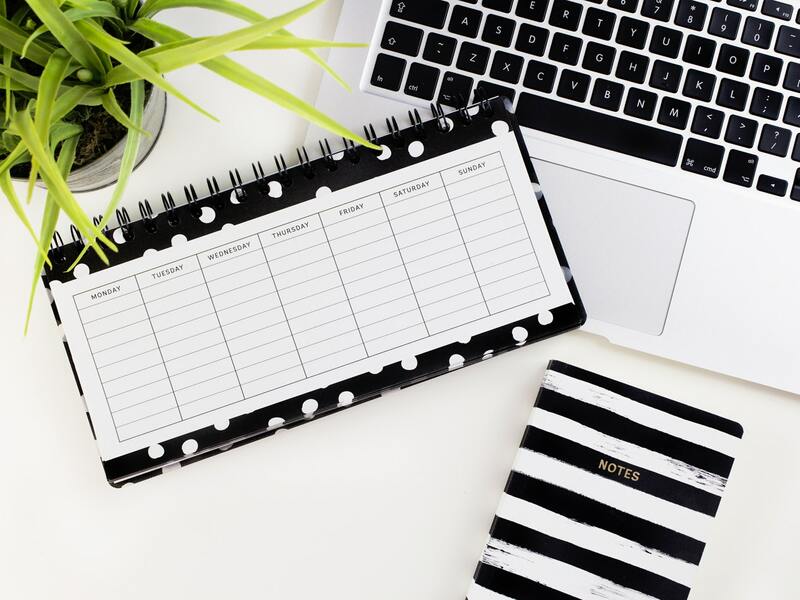 We know you’ve had a busy few weeks, but have you managed to squeeze any time in to sit down and start planning yet for 2019? A new calendar year is always a good time to look over your business performance from the last 12 months and is a great way to organise your KPI targets for the upcoming year. Happy New Year! Hello and welcome back everyone, hope you’ve all had a fabulous Christmas and enjoyed the festivities with family and friends! 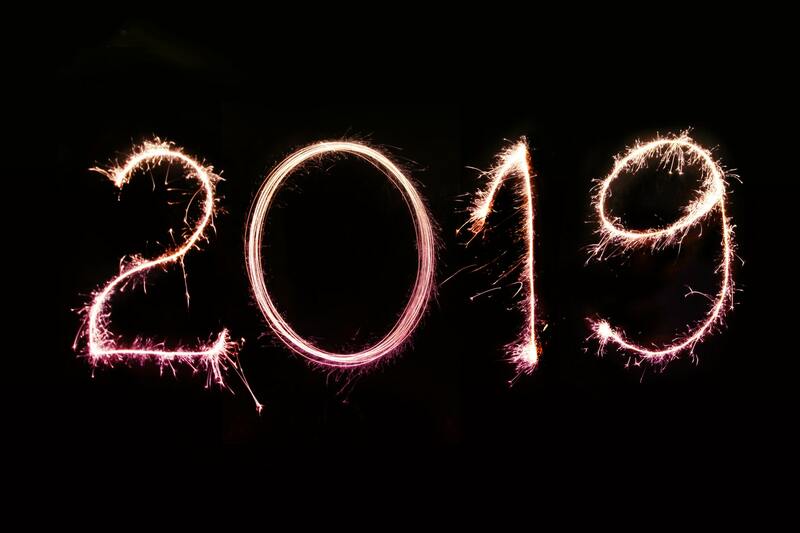 But now, it’s business as usual and we all know that January can be a bit of a quieter time for us, but what not a better time to create a plan of action to ensure that you have a successful 2019! 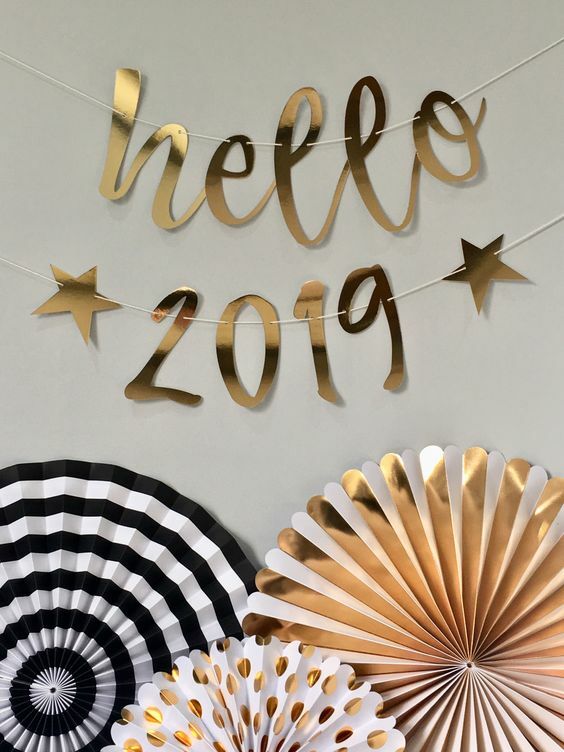 It’s also a great time to have a spring clean and re-organise the salon, as there’s nothing worse than having leftover Christmas accessories and old stock dotted about at the start of the New Year. 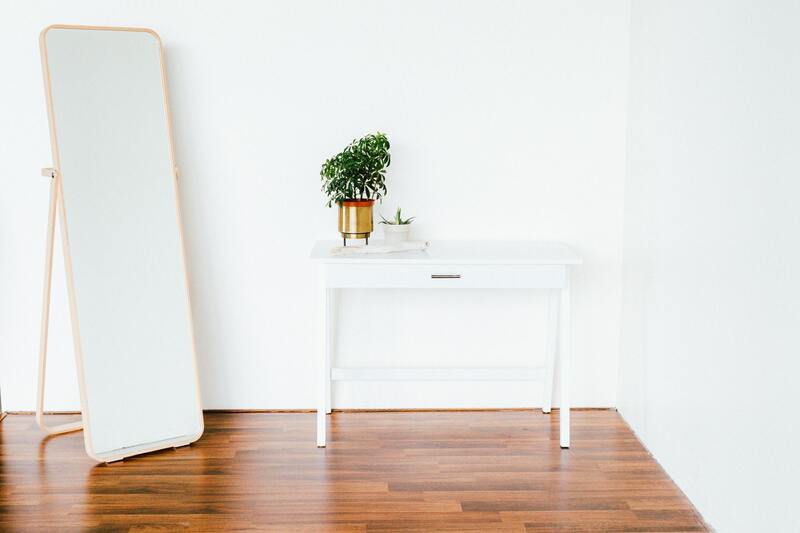 You need a fresh space for a clean positive start. Another year over! 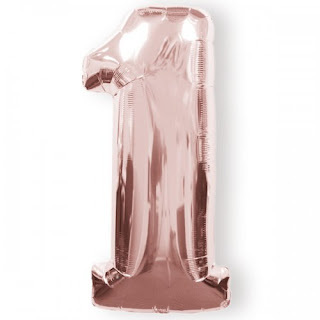 I think this has to have been one of the fastest years for us, I mean I know we say this every year but this one in particular seems to have flown by! For us here at Salon Tracker, we’ve had a jam-packed year; we’ve done 2 shows, expanded our team with 3 new staff members and also brought lots of new useful features to the software along the way (which some of you may be taking advantage of already). 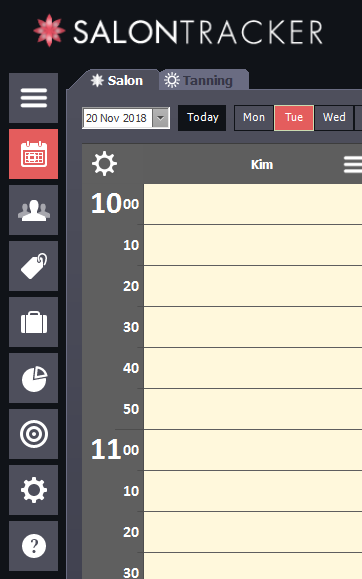 To mention a few feature requests that we have introduced- we have brought to you our upgraded tanning waiting list, improved touchscreen display, a brand-new Salon Tracker colour theme and we made a few tweaks to our calendars too - to make life easier for those of you who have lots of different types of service categories! 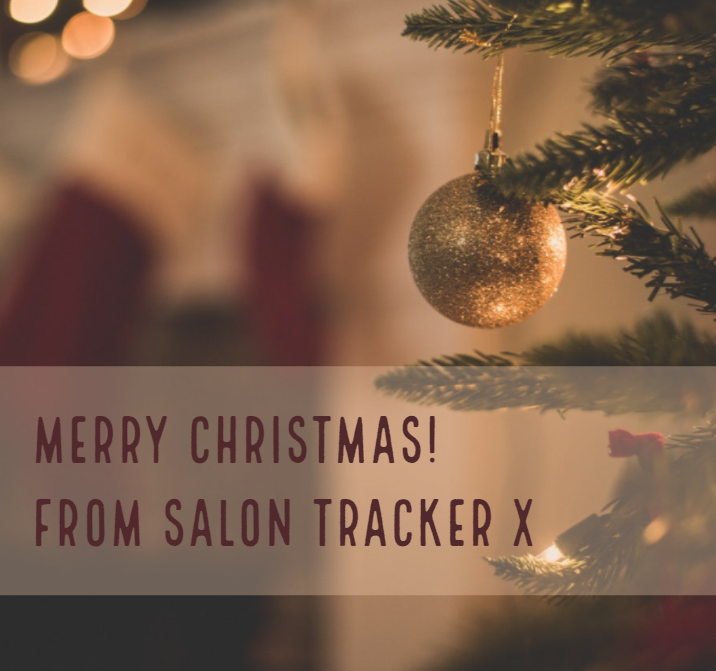 Salon Tracker's Last Minute Christmas Present Ideas! Less than a week to go! Can you believe it? Here at Salon Tracker we know all about that last-minute dash we all go through to ensure we have everything ready for the big day. And so to help, we have decided to compile a list of our best last-minute present ideas! Now we all know that January tends to be a slower month for most salons, with people having just spent like crazy in December it tends to be that everyone wants to save and not spend money on themselves. 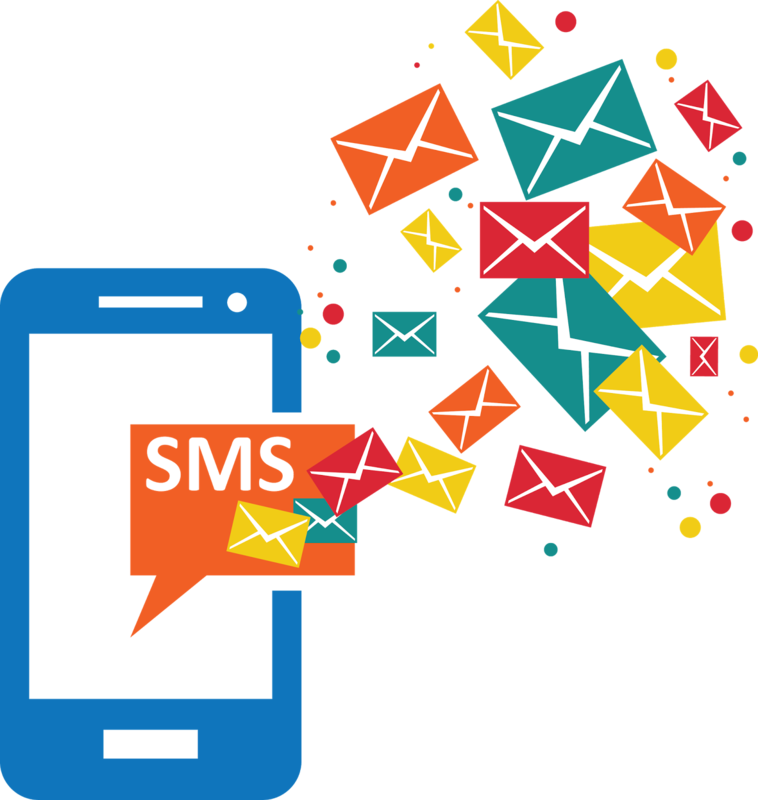 So, given that, we’ve come up with some SMS marketing campaigns that you can send out to make sure that your January isn’t too dry. I think we’d all agree that January is the longest month of every year. It’s cold, we’re all running low on funds and the one thing we’ve been looking forward to all year is over -(Christmas). So how about we make your January a little more exciting this year and give you a rundown of how you can take a little of Decembers joy with you into dull January! I’m sure you’re all aware that December is booming with appointment after appointment meaning your revenue is more than likely double your average month! Yet once all the festivities are out of the way and everyone sinks back into reality it might almost appear like a ghostl town in the Salon. Well I’m about to tell you how you can turn that around by investing the extra profit from the run up to Christmas in all the right ways. 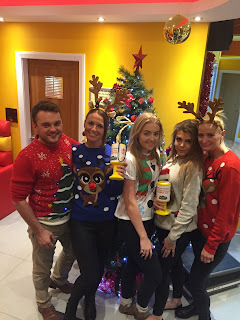 Getting your Salon Ready for Christmas! Christmas is just around the corner again! Can you believe it? It feels like just two minutes ago that we were saying this last year. 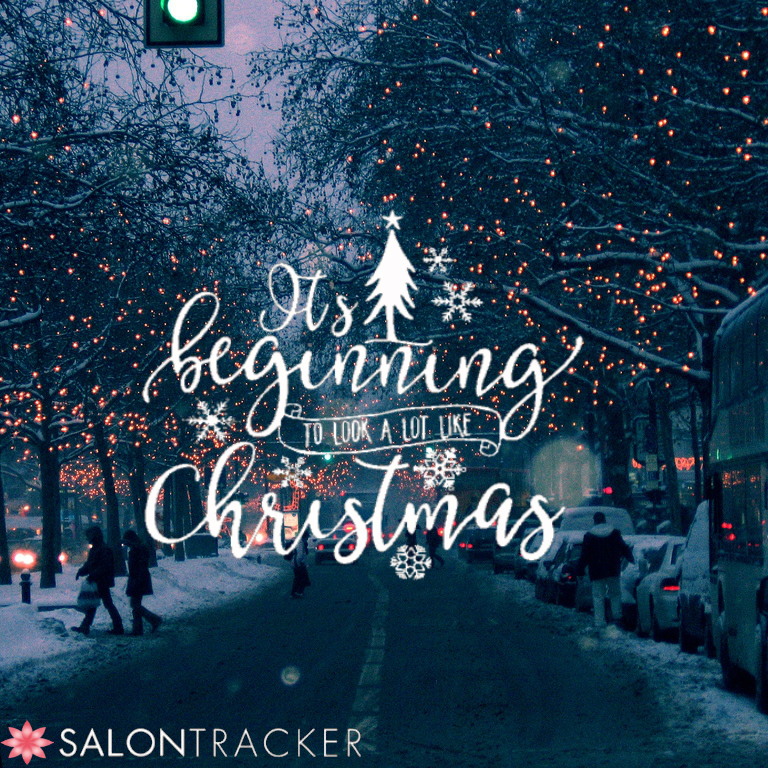 With this in mind here at Salon Tracker we want to share with you all our top tips on how to get your salon ready for the festive season. This one of the busiest times of the year for many salons ensuring you’re doing the right things to draw in customers and optimise your profits is very important. Decorating your salon in a festive way is sure to draw new and existing customers into your salon. Decorations such as lights, tinsel and Christmas trees will catch the eye of passers by and encourage them to come into your salon. Feature of the Month- Our New Touchscreen Features! As we all know the technology world is changing and more and more people are opting for touch screen pc devices rather than the more traditional mouse and keyboard operated desktops. Touch screen devices have a range of positive features which make them very much adapted for use in a busy salon. They have the bonus of being very quick to use and also easy to train on for new members of your salon team who are trying to get to grips with how your salon is run. They’re also a lot more compact than a desktop pc which means they won’t take up any unnecessary room in your salon. With this in mind here at Salon Tracker we wanted to make our system as user friendly as possible so we have made a few changes to our system to make it easier to use for our clients that are choosing this type of device for their salon. Black Friday/Cyber Monday, our ideas to ensure you boost your salon sales this season! 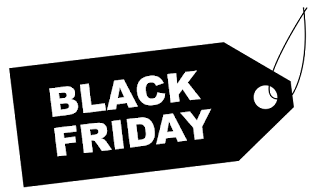 OK so Bonfire Night is out of the way, it’s time to look towards the nations next big event, BLACK FRIDAY! It’s retail heaven, a client’s dream, where it seems most businesses across the globe discount their entire merchandise by a significant amount (the tradition is 30%) for 1 weekend only – typically running from that ‘Black Friday’, ending the following ‘Cyber Monday'. Cyber Monday is apparently the day to get your online deals, however, as online shopping seems to have overtaken the traditional in-store method, most retailers now begin their online discounts in line with the Black Friday start date (if not before!). So, this year it has fallen on Friday 23rd November, slightly earlier than last year but it still gives you a good week and a half from now to get organised if you haven’t yet done so. Get advertising, shout about your deals as early as you want because as the day is renowned for the discounts, all your customers are going to be doing their research early to see which of your products are in the deal. I know normally we don’t shout about you guys giving discount, as we feel there are other more valuable ways to attract customers and keep your business value reputable. Black Friday however is an exception, this is the day to discount and flog all of your stock the best you can. I’m guessing most of you will know what Movember is and what it is for, however for those of you that don’t it’s an annual event during November where people grow moustaches to raise awareness of men’s health issues. This is a great opportunity for your salon to support a great cause, especially for barbershops. 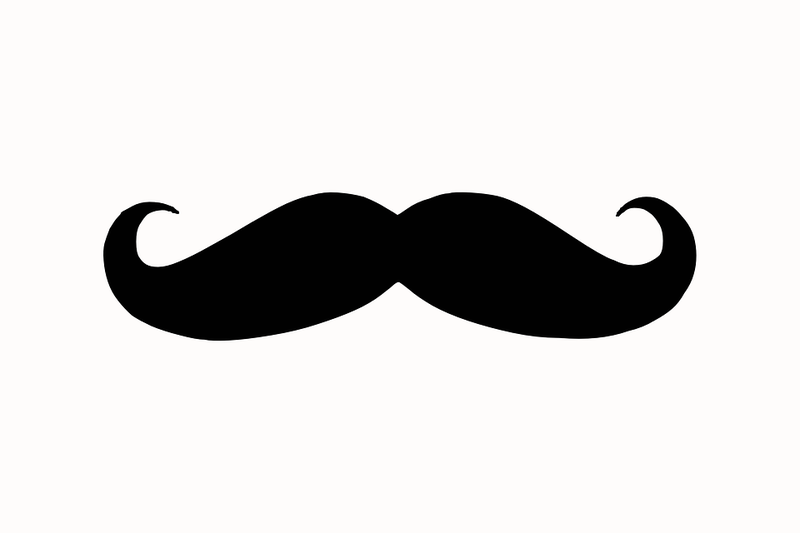 Here at Salon Tracker we’ve compiled a list of some different things you could do in order to raise awareness and money for Movember this year. No tricks involved, it's the 31st of October! 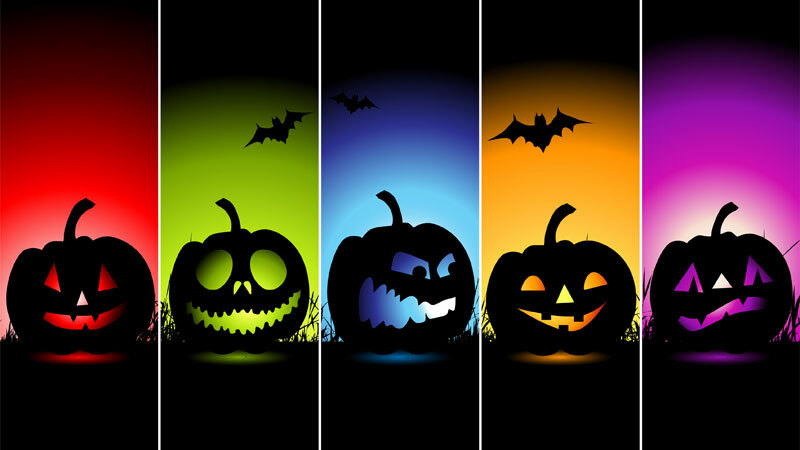 Halloween is very much upon us and that means it is finally time to get your spook on! If you're in need of a few ghostly ideas then you're in the right place. We've gathered a load of looks off Pinterest we absolutely love! Feature of the Month - Columns! For the past few months, the developers behind Salon Tracker have been reviewing the software looking for ways to make the program easier to use. 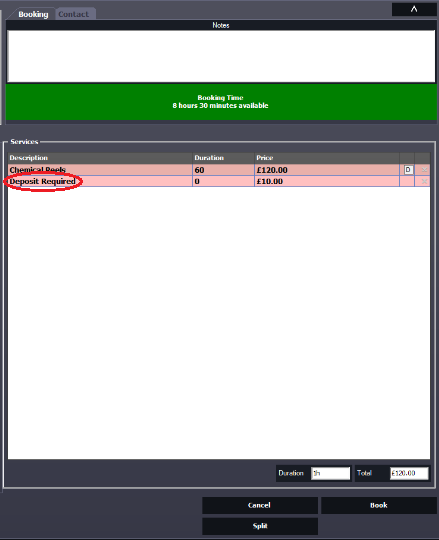 The bookable item columns are the main feature on the booking calendar and take up majority of the screen. 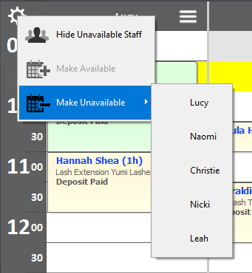 Although there is already features available to make the columns bigger or so that the user can see all their columns at once, this new settings feature allows the user to change the viewing of the calendar to working staff members only. This relieves the calendar of unavailable staff who aren’t working that particular day, so now if a staff member calls in sick, their column can be hidden entirely from the calendar, making more room for the available columns and bookings. Salon Tracker's Top 10 Prep-tips for PB North! Traveling from afar? Sorting your travel and hotels early is essential, as you don’t want to get caught up close to the time with expensive train journeys and a hotel miles away from the venue! Not to mention, pricing. Accommodation and commuting services are always so much more expensive around an event, especially in a premium city like Manchester, therefore to secure a good deal close to the event space, make sure you have this booked in good time! I can’t believe I’m saying this, but Halloween is right around the corner again! This is a great chance for you to get your creative brain on and do some Spooktacular marketing 🎃. We’ve compiled together a few ideas that you can use this Halloween, carry on reading to find out all our tricks and treats for your salon marketing! Goodbye Summer, hello cosy seasons! So, we’ve had the very best of Spring and Summer… sensational football, glorious sunshine and BBQ galore but now it’s time to get the cosy blankets out, put the kettle on and prepare your Salon for the Autumn and Winter months to come. 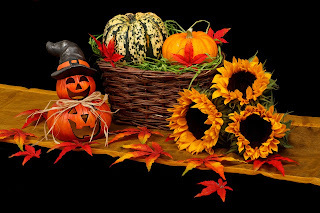 We’re quickly approaching the joys of spooking Halloween and festive cheer and I think you all know what that means… a busy, none-stop salon most of the time. So, if you’re wanting a few ideas on how to take some of the weight off of your shoulders when it comes to managing the Salon this year… you’re in luck! Below I’ve listed 5 useful suggestions and ideas to get you started. As we all know social media sites such as Facebook and Twitter are a great way to market your salon. As well as being one of the cheapest forms of marketing, it is also one that reaches a wide audience so more and more potential clients will be aware of your salon. 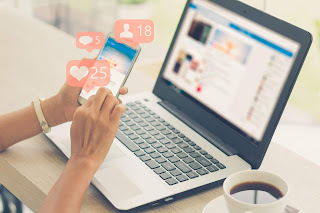 Whilst having social media accounts for your salon is all well and good, the larger your online presence is, the more potential customers will hear about your salon. So, here are some of Salon Tracker’s top tips on growing your online presence! What to expect from ST @PB! Only a month away from PB North in Manchester central, the biggest trade show in the north of England! 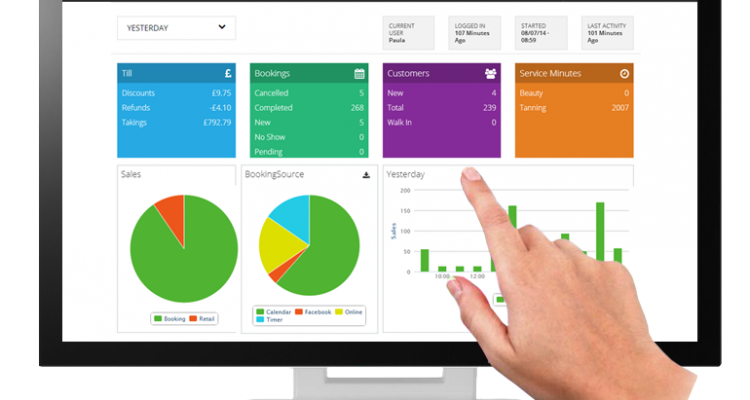 Here’s what to expect from our Salon Management Software for the end of this year. Ever get frustrated with people not showing up to appointments, even when you’ve sent them a text-reminder message that it seems that they’ve completely ignored? Do you think that people would react the same if you added a little upfront pre-pay rule to their booking? We’ve enhanced our software by advancing our upfront deposits system, to help you to clamp down on people missing their appointments once and for all. Especially with Peak season, Christmas, being just around the corner, your calendars are going to be booking up fast with festive appointments and so you really don’t have time to waste with no-shows! That’s why for September we’ve chosen ‘Advanced Deposits’ as our feature of the month! So how do our deposits work? You have a few different options when it comes to setting the rules for your deposits. So, if you want to take a set value amount for every treatment that you offer, we have a simple way of implementing this. Or if you want to do specific percentage deposits for a certain range of treatments; so, for example say that you wanted to just take deposits for all treatments that are over say £50, we can also set this up as a rule for you using our product-group permissions feature. 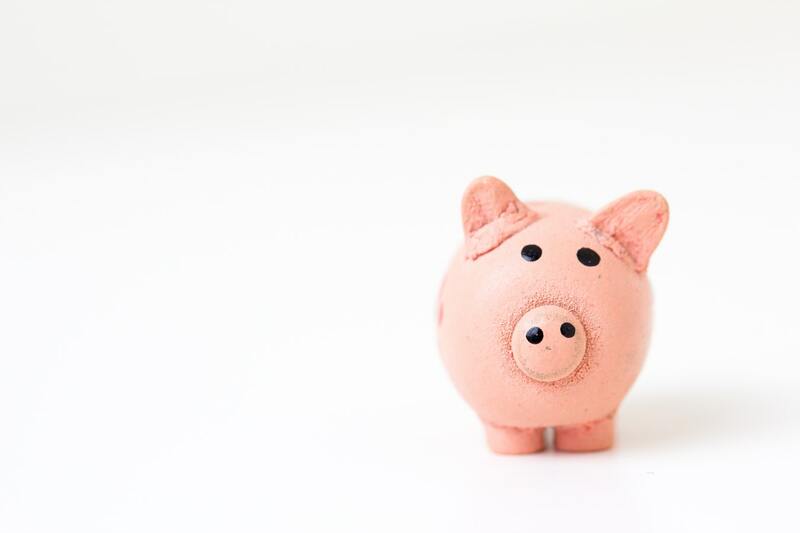 You can also set a flat-rate deposit, or a minimum and maximum value dependent on the price of the treatment, therefore the feature is extremely flexible depending on how you wish to run this in your salon. And what a year it’s been! I’m sure we’ve had the privilege of speaking to the majority of our clients already but if you haven’t spoken to us yet… we’re Christie and Naomi, part of the sales and marketing team at Salon Tracker, and degree apprentice students! Naomi started just over a month before Christie, at the start of August, and this tends to be our more off-peak season; which meant that the first few weeks were focused on picking up the ropes and learning all of the aspects to the job. However, since around the time that Christie started it has been none stop (with it being our peak season) so this has lead us to where we want to be, therefore allowing us to progress and develop further. When we first started we both don’t think we really realised how hard it would be to pick up the role of the job and be able to answer a call without having to double-check answers from our manager Nicki. But once we got closer to the end of September, we found that it was much easier to manage clients of our own and new enquiries, without having to hold to find out more information. We then worked up the courage to deal with more difficult tasks and by Christmas we were flying through our day to day responsibilities. 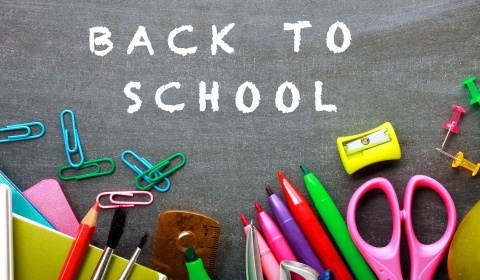 With summer coming to a halt and the Autumn months fast approaching, you’re all probably tired of hearing the phrase ‘Back to school, back to normality’ but that’s exactly what it is. 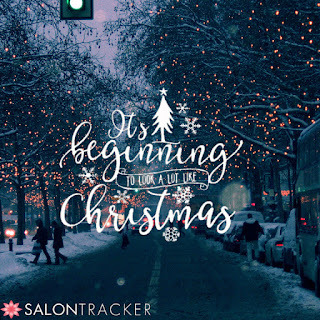 Here at Salon Tracker, we want to share with you some of our top tips for marketing your Salon effectively this season. 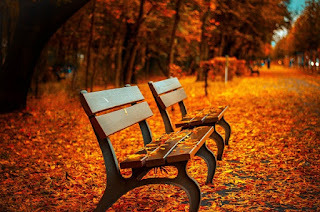 The Autumn season leaves plenty of opportunities for some great campaigns for you to take advantage of in your salon. Have you discovered this product yet?! So, I think you’ll all agree that it has been an outstanding Summer so far. Record breaking temperatures for weeks on end with very little rain in sight… however; sadly, we are coming to the end and soon the woolly scarves and hats will be coming out as we forget what the heat on our skins felt like. 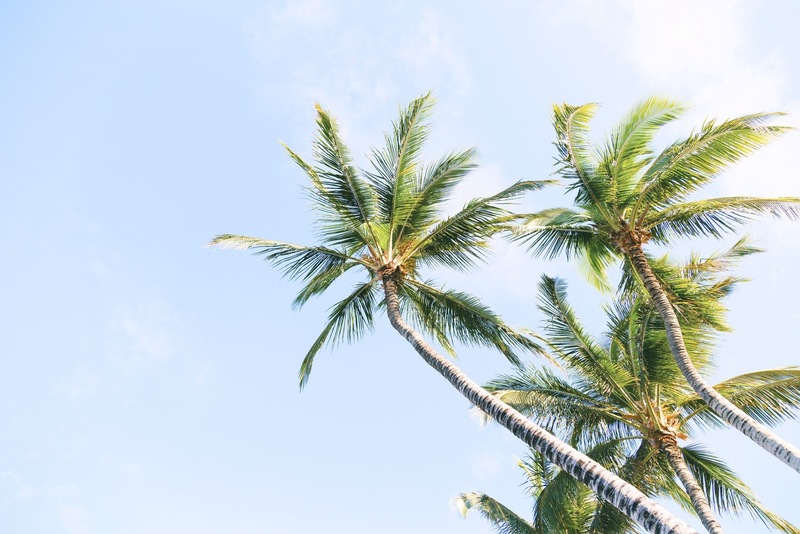 No doubt, you will have caught a tan, whether that was done with safe use of a sunbed or just spending time outdoors - my guess is that you’ll want to keep that tan as long as possible. Top 10 Tips To Enhance Your Salon's Social Strategy! 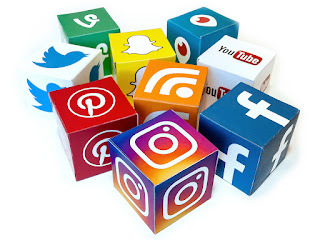 Social media should be your number 1 marketing and communication platform for the salon; as according to Statista, "over 2.62 billion people are users of social media world-wide, with around 2169 million people having an active Facebook account alone." It is therefore imperative that your business has a social media profile, as if not you could be missing out on a HUGE market! However, it doesn’t just take you having a business profile to ensure that your networks are seen. You then have to use your social media tools wisely, in order for you to ensure maximum engagement and post reach to the online market. So, here are our top 10 tips to make sure your social strategy improves your business and brand awareness. It is finally peak festival Season - what you’ve all been waiting for since approximately… the end of last festival season! As you’re all aware of the remarkable summer we’ve had so far, I’m sure you’re even more aware of the damage it has done to the majority of the UK’s bank accounts. Football at the pub 4 times a week, holidays, takeaways - because it’s just far too hot to cook in this weather. Am I right? But unfortunately, the footballs off, we’re coming to the end of a sun-filled summer and it’s time to start focusing on our future festivals. Only now, you’re on a strict budget. Don’t worry, I’ve got you sorted as I’ve hunted some of the best festival-look bargains there is on the internet, and you’re going to love them. We had too much choice for our feature of the month for this month so we have decided to mash 5 of the most unknown, amazing features that Salon Tracker has to offer. I know that being a Salon owner is tough work, especially over the Summer. And i'm probably right in guessing that the image on the left is much more relatable than you thought? You get carried away and end up spending 23 hours a day working instead of setting aside valuable time to relax, socialise and do the things you love.Now is the prime time to turn it around and start enjoying work whilst enjoying catching up with friends and taking up hobbies all at the same time. Hello, how’s everyone enjoying this gorgeous sunshine?! What an oh so fabulous Summer we’re having! Saying this, how has business been for everyone so far this season? We’ve heard mixed thoughts from our clients, with some saying it’s been so much quieter than the average Summer. However, some have said that this year has been great for up-selling their retail products, as more and more clients are looking for something to lock moisture in to their hair and skin with this dry spell! Whichever it is for you, either way, we’re already half way through this year already, can you believe that! It’s officially less than 6 months till the next peak season, Christmas! 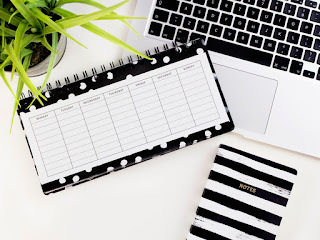 So, this week we wanted to discuss how you can evaluate your last 6 months of business and how you can use this evaluation to plan wisely for the upcoming half of the year! When should you post on your social media? Did you know that there are over 3.196 billion people active on social media! That’s 42% of the world population! Obviously, your main focus would be those in your local area, but social media has all of the tools to ensure that you are approaching your target audience. It is important to make sure that you are posting on a number of different social media platforms, however the time you post could massively impact how well your tweet does and how many people it reaches. There are thousands of articles out there that go into when the best posting times are, but don’t worry you’re going to go to go searching through them all, I’ll do that part for you! There are two factors that can influence the best time to post; the day and the time. From doing some research I found that in the UK the best days to post are on Monday and Thursday, with Sunday being the worst in terms of engagement. The best times to post are between 8-9am, probably because this is when most people are travelling to work and 5pm when a lot of people will be leaving work, surprisingly, 2am is also one of the best times to post 🤷‍️. I can’t believe we’ve gone through June already! For the end of this month’s blogs, I’m going to invite you to try 5 beauty products I’m obsessed with! I will briefly explain each product and describe exactly why I love it so much. Whilst we’re just entering summer 2018 there couldn’t be a better time to prepare for healthy, glowing skin. 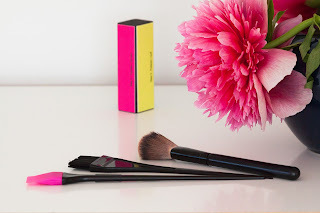 I’ve loved experimenting with different types of makeup and skin products so this week’s blog is right up my street! Everyone loves having tanned glowing skin and sitting in the sun, just make sure you stay protected! 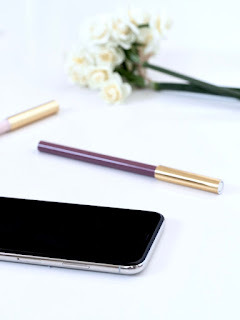 For June’s feature of the month, I’m going to explain how quick and easy it is to contact clients through text messaging! 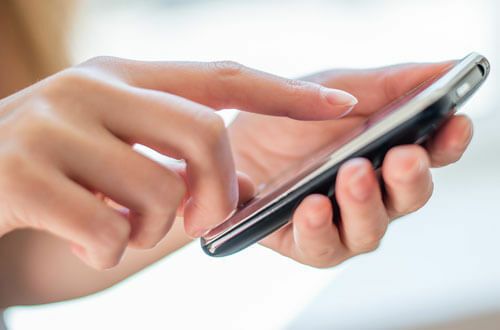 Whether you own a tanning, hair or beauty salon, text messaging can be used by any business of any size and to your advantage. This feature is undoubtedly the most commonly used and effective method of marketing for salons, it is extremely important for a growing business to know how to use SMS and encourage clients to return back through the doors of a business. 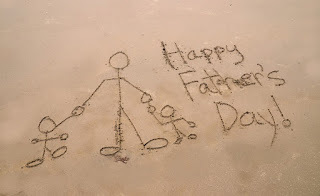 Salon Tracker's Top Tips to Achieving Successful Father's Day and Summer Marketing Campaigns! 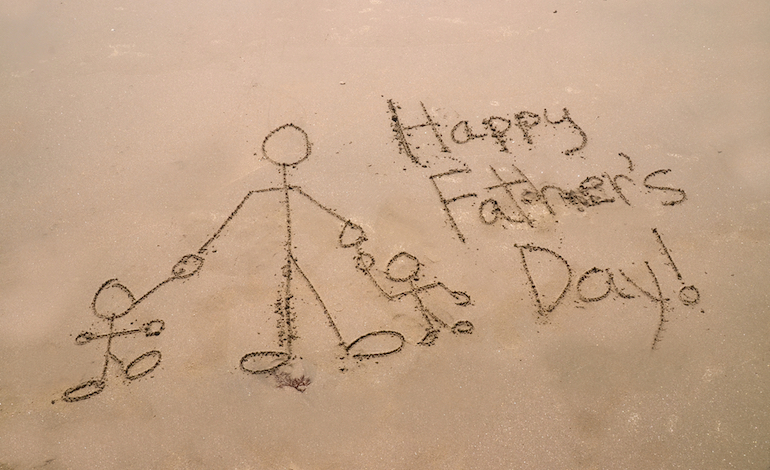 Less than 1 week to go until Father’s Day, and just a few days left until the first official day of Summer! This year is going fast, right? So, as we step in to Summer, we thought we’d offer you our best ideas to put you in the right direction for a successful season. There are lots of events and areas that you can use to market your salon over the Summer period. Obviously, as just mentioned the next main one we’ve got coming up is Father’s Day. But then not long after we also have School and College Proms, University Graduations and Weddings to cater for, all of which are typically planned for during the Summer months. The first port-of-call would be to find out exactly who your competition is. The easiest way to do this would be to just do a search on google for salons in your local area. Once you’ve got a list of all of your competitors, you can begin collating information about them, and really start defining who will be your direct competition and who is sort of your secondary competition. Nowadays most salons will use social media, especially Facebook, and this is the perfect place to find out all of the latest news about any of your competitors. This could be their latest deals, any new services, reviews, photos, events, pretty much anything you need to know can be found on there. You could draw inspiration from their posts or their services, they might offer something you’ve never heard of so it might be a good idea to start offering it if its something that you could provide. Perhaps you see that they’re doing a deal on something that you also offer, you should try to match it or even beat it to try get more customers in. The main con of social media is that this also means that if you use social media for your salon, then I would guess that your competitors are also looking at your page, so if you decide to promote an offer on your social media pages then there’s a good chance that they will see it and want to offer something similar, if not better. Do you use social media to it's full potential? Now I know it may seem that emails are becoming a thing of the past, but they are still one of the most used and most effective marketing tools. There are plenty of great providers out there that you can use to really maximise the benefits of using email marketing. One that I recommend you using would be Mailchimp, for starters its free, but it offers a range of different templates and designs that you can customise to your needs. A/B testing is designed to allow you to send two emails to only a percentage of your customers, from this you will be able to determine which email has the better open rate or click rate. After a certain amount of time Mailchimp will then send the email that performed better to the remaining percentage of your customers. And then overtime you will be able to complete a number of different A/B tests to find the perfect design, template and subject that your customers will want to open. 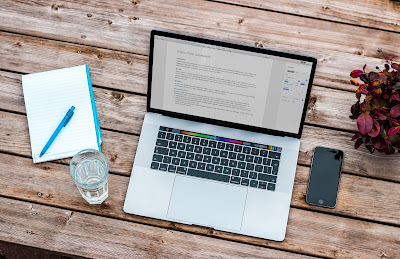 So essentially, you’re creating an email that your customers will want to open, which is great if you have any offers on that you want to get out to your customers. It can be quite a lengthy process, but if it gets more people into your salon, then it’s worth it! Well, I hope that’s sort of made a clearer picture in your head as to what A/B testing actually is. share our feature for this month: Tanning Rules. It’s common knowledge that your sales are bound to go up and down, but great service is forever. Which is why we’ve written a helpful blog full of tips and tricks on how to provide the most memorable, 5* service! Spruce up your Salon this Spring! It’s May! The month with double Bank Holidays and plenty of Spring weather (we hope!). We’re officially in the Spring/Summer season, so your salon footfall is naturally going to increase with everyone rushing to get their pre-holiday treatments booked. And if any of these are new clients, your salon atmosphere and appearance are the first identities and long-lasting impressions that a client has of your business. This being said, throughout Summer, we therefore think it’s really important that your salon reflects the season that we’re in, just like at Christmas you would always put up your best festive decorations. It should be the exact same with Summer, as this is equally one of your busiest times. 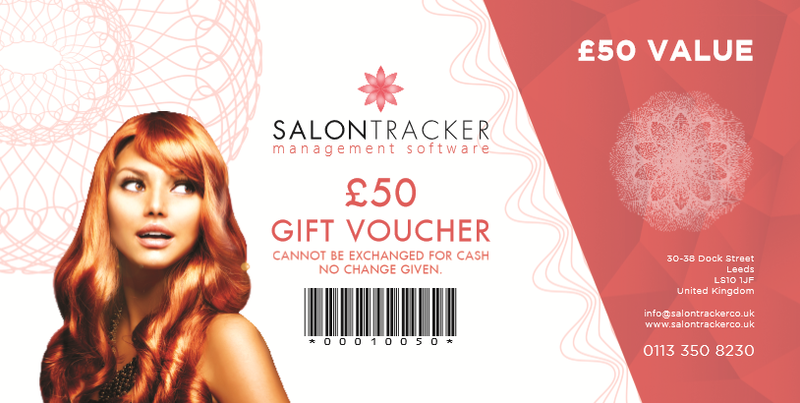 If you already have our Salon Tracker software then this would work perfectly for you! Get your customers into your salon on National Hairstylist Appreciation Day by promoting an offer. An example of text that you might a send out would be “We’re celebrating National Hairstylist Appreciation Day, visit the salon on April 30th for 15% off!”, just a little incentive to get your customers in. Even if you don’t have our software, you can still push some sort of offer, Social Media is a great place to promote any offers, or even just putting something up in your salon window. • Data must be processed in a way which guarantees suitable security of client’s personal data. This comprises protection against unauthorised or unlawful processing and covers accidental loss, destruction or damage by having applicable technical structures in place and suitable organisational measures. Salon Tracker hides all client data, it needs to be unlocked to gain access and every time it is unlocked it is tracked in the data base. Feature of the Month; Help Videos! I'm sure you all know the struggle when you just can’t figure out how to do something, or the feeling of not wanting to do something wrong. Well, recently on Salon Tracker we have added a new feature; help videos! 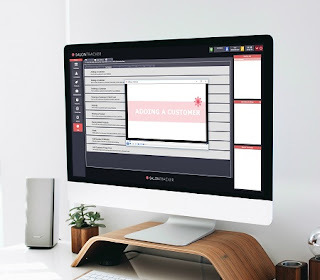 We’ve created over 50 help videos that you can watch (as long as you have an internet connection) ranging from just simply adding a customer to setting up your customer discount groups. To find the help videos, just go to the help section and then click on the help videos tab. They are split into the different left menu options, and within each tab you can watch the related videos. To watch a video, just click on the title and it will automatically play. The videos are simple and easy to follow, and have a step by step guide on how a certain task can be completed. However, if you are struggling or something isn’t working quite right, don’t hesitate to contact our support team on 0113 350 8232 and we will be happy to help you out! Hello, and welcome back! Hope you all had a lovely Easter and managed to have some fun even though Winter decided to hang around, we know some of you even experienced a bit of snow on Bank Holiday! But hopefully that’s the last of it now and we can finally start to get in to Spring-mode. So, speaking of Spring, it’s time we did some marketing and discussed some top-tips on the upcoming events that you can use to ensure you have a successful season. 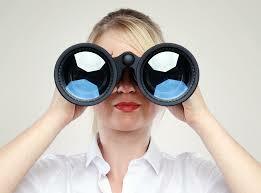 Online Visibility – Let’s get social! Do you have an active company website and social media page? In this day and age, everything is technological and so if your business isn’t active online, this can be detrimental to your sales. Facebook has vastly become a popular ‘check-point’ for people to identify a business. Where in the past this may have been through your Google listing, or just through word of mouth, nowadays people go to social media pages to look at your businesses recent activity, to determine whether they’d like to purchase/buy a treatment from you. It’s crucial that you regularly update your social networks, to ensure that clients can see that you are current and that you constantly communicate with your followers, as this can help to prove a good business reputation. I know spending your Sunday doing anything other than laying in bed with Netflix on and munchies at the ready might sound a little daunting, but its time to get out of that winter hibernation mode and roll into the summer of success! Sunday’s can be spent doing all kinds of things, but we’ve got a few ideas lined up to help give you that little boost of motivation when you need it most. Easter is coming relatively early this year, falling on the 1st of April, so you need to get planning ASAP! For this week’s blog we thought we would share with you our best Easter marketing ideas for you and your salon. 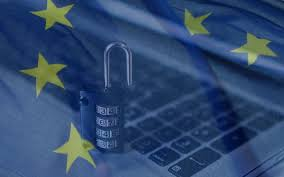 Are you ready for the GDPR? We are! 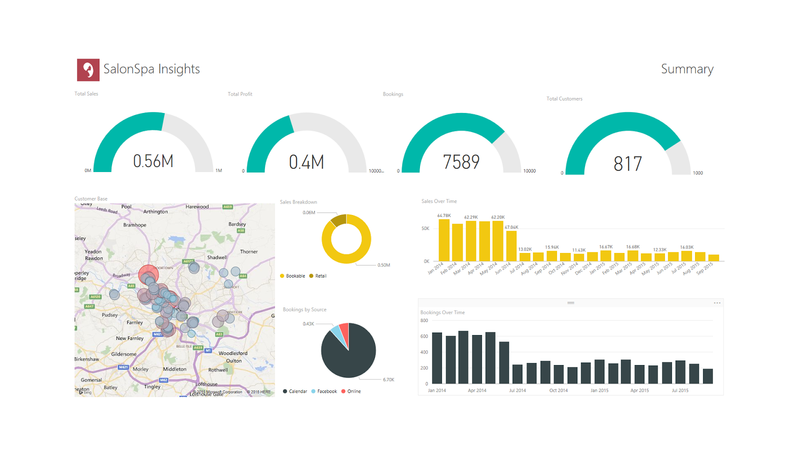 With less than 2 months to go until the big change we thought we’d give you a run through on what we, here at Salon Tracker have done in order to be fully GDPR compliant. Meaning you can put your trust in our Software and put your mind at ease. Feature of the Month; with a twist! Our software developers have been working extremely hard these past few months, as they have taken on-board the voice and opinion of our loyal clients and pursued their thoughts into some new and pretty impressive features. So instead of one feature of the month, we’ve decided on our five features of the month… because it was just so hard to choose! Hello there and happy month of Spring (hopefully). Now, as we enter the fresh daffodil season, it is likely that you will see an increase in footfall in your tanning salons due to the fact that people are wanting their glowing base-tan prior to their spring-break. Still, many of you will know that there remains to be lots of contrasting opinions surrounding the use of sunbeds and their potential dangers to people if they over use them. 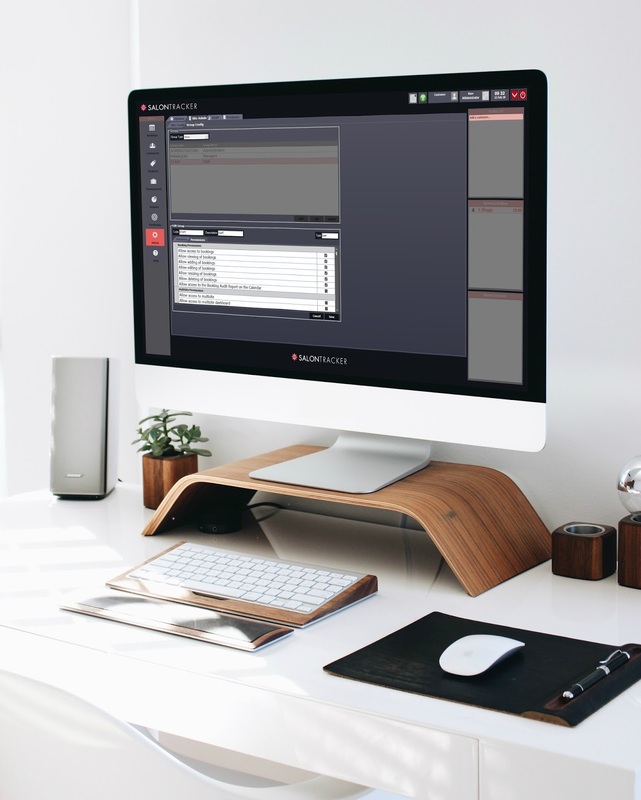 So as a salon software company that specialises in tanning, we just wanted to discuss with you how we have designed and built our software to ensure that sunbed clients are tanning as safely and legally as possible. So, without further due let’s chat sunbed safety. 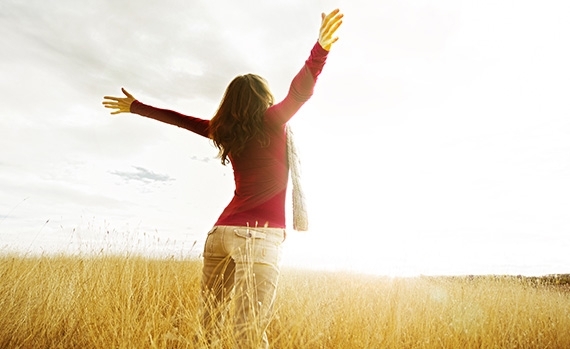 First off, a few things about Vitamin D. Your body creates Vitamin D by using sunlight or UV rays. Therefore, it is essential that over a lifetime, every single person is exposed to some form of sunlight, with the current recommendation being 5 minutes 2-3 times per week on average for a person to sustain the amount that they require to produce enough Vitamin D all year long. In some countries however, and especially in the UK & Ireland, we are prone to much longer Winter months, meaning that this 15 minutes per week average can prove to be difficult, as the sun is not strong enough to produce the UV rays needed for our skin to absorb enough to make Vitamin D. This was therefore the start of sunbeds and also the vitamin capsules that you will find in many supermarket or pharmacy stores. Whether you own a tanning, hair or a beauty salon, providing consultations for your clients is essential for their safety and overall satisfaction. Often it is during a consultation that you truly get to know your clients’ needs and good communication from your site will put them at ease before a treatment. So why are many salons skipping the consultation even though this could be fatal for your business? Thinking about pushing your line of retail products? Here’s how to do it the right way! I know you’ll want to bury your head in the sand when it comes to talking retail products… let alone actually doing something about them! Not to worry, we’ve got a long enough list of tips and tricks to help you get your salon retail sales flowing and the dust on those shelves no longer showing! Happy Valentines day everyone! For our feature of the month we are focusing on permissions, a feature beloved by our clients, mainly down to the fact that it is as simple as ticking a box. I don’t know if this applies to all of you, but not all salon owners would be 100% comfortable with leaving their salon for a ‘relaxing’ vacation knowing that their staff have full access to their system. So, by having the permissions feature it just gives owners that peace of mind that staff aren’t accessing anything they shouldn’t be. 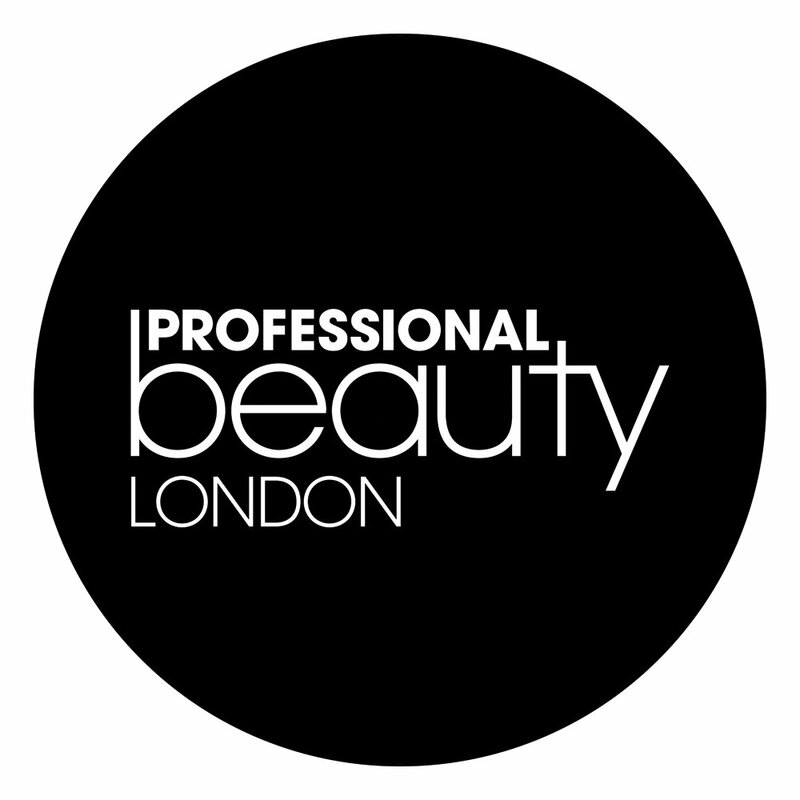 Professional Beauty London 2018 - New Features and how you can prepare for the event! Less than 3 weeks to go until the big event! 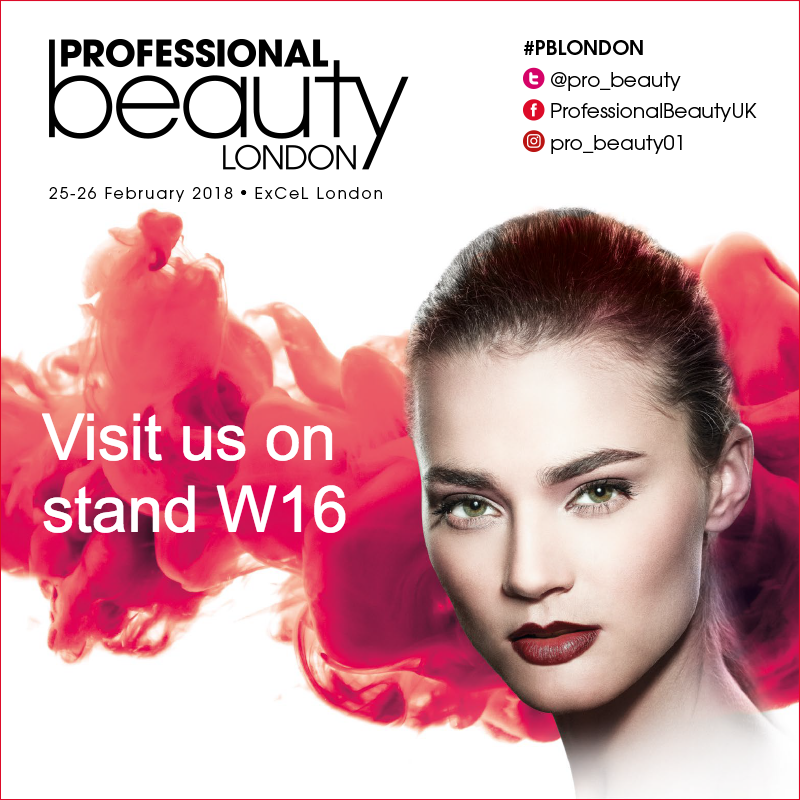 It’s time for #PBLondon again, we can’t wait and as always, we’ve got a few new features in store for you this Feb! So, what can you expect from us and also how can you ensure that you get the best out of this year’s show. 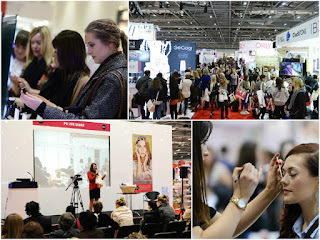 Professional Beauty London is always the biggest of the PB shows in the UK, with the event being held at the Excel the floor space is so much larger than other venues, meaning that there is a lot more room for increased exhibitors to attend. Saying this, you only have the exact same time at PB London that you would have at any other event, as the show only runs across 2 days like it does at all other locations - so you have to plan accordingly to ensure you get around all the stands that you want to see. Many want to treat their loved ones on Valentine’s Day to something special. Whilst chocolates and flowers are still a popular choice, more and more people are looking for something special and a little bit different. Therefore, salons and spas can take a significant role in the decision making process if you play your cards right. Valentine’s Day also means that Mother’s Day is right around the corner, and with two gift-heavy holidays, there are plenty of opportunities to boost retail sales as well as appointments. If you are still reluctant whether your business should participate in the hype and need convincing, let me tell you what a commercial opportunity 14th February is. How to save a penny or two without noticing a difference! If you’re just starting out, going through a dry patch, or just generally wanting to save money in your salon, then keep reading! Here are just a few ideas that we came up with that you can use to save some money in your salon. 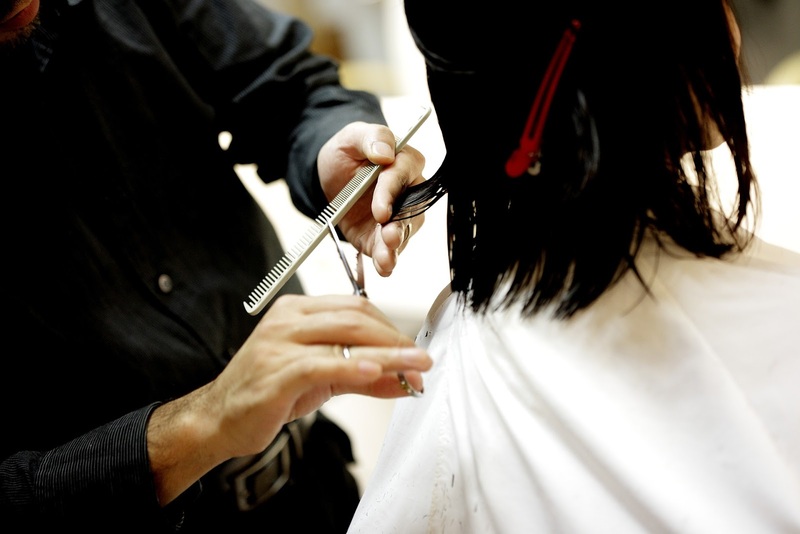 Do you know the Health & Safety requirements for your salon? 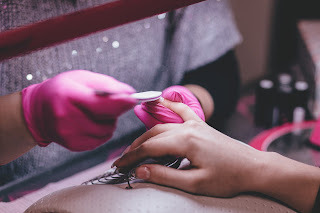 You might not think that being in the salon business is a risky one, but there are numerous rules and requirements that you must follow or your business could suffer. I’m hoping that you already know and follow these health and safety requirements, however I would still suggest that you read through them just to make sure! As you have a ‘duty of care’ to your employees and clients, both you and your employees must be aware of the health and safety requirements in your salon. 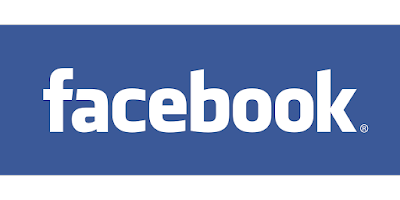 Facebook was founded in February 2004, so almost 14 years ago. From my personal experience, I remember starting to use the platform properly around 2008-2009, as at the time that Facebook launched, there were other competitive social media sites that were still extremely popular, like Myspace and Bebo to name a few. 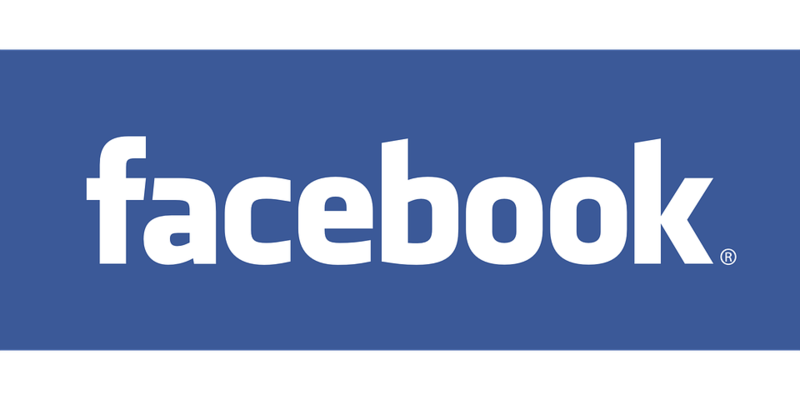 However, for today’s younger generation, they probably won’t even remember a time without it, and as the social world carries on advancing, Facebook is one of the essential social networks that every business needs to have an up-to-date profile on. Simply because, it could be almost detrimental to your company if not. Facebook is the new google. 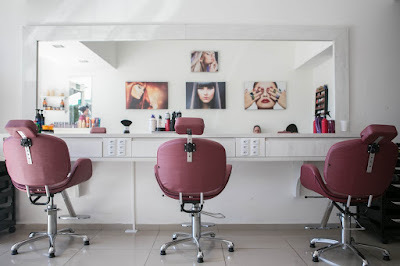 It is one of the first ports of call when people are checking companies out now, and especially in the salon industry. If your business is no where to be seen, it’s almost as if you’re not legitimate or don’t have that online presence for people to be able to identify your current reputation with the public. We know that opening a new Salon can be challenging at the best of times, in fact so challenging that it is a proven fact that roughly 1 in 3 small business fail within the first 2 years of opening. Which is exactly why we have come up with our very own Salon Bible for all you newbies out there. Something you can rely on to guide you through to an exciting, successful Salon! The New Year is all about resolutions and setting goals for the year ahead. While most people start with the obvious ones (eat healthy, exercise more, save money), by the time January comes to an end many realise that other priorities have crept up on them. This results in resolutions are discarded and put in the back of their minds. Setting goals and a strategy for your salon business is essential for growth and motivation. 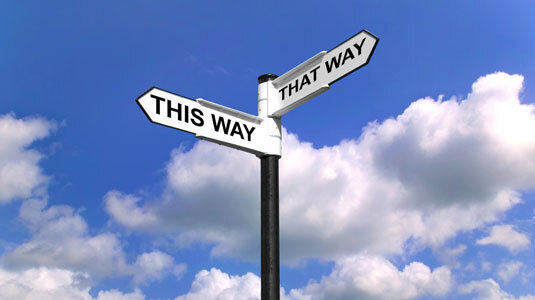 It is important to visualise your goals and decide what direction you really want to go. However, this can be overwhelming if you don’t know where to start. Trying to achieve too much at once can backfire and therefore it is important to identify what you are hoping to achieve throughout the year. Setting resolutions for your business is a great idea, but it's all about the right resolutions so that you won't fall into the trap of trying to achieve things that are sheer impossible. A New one just begun! 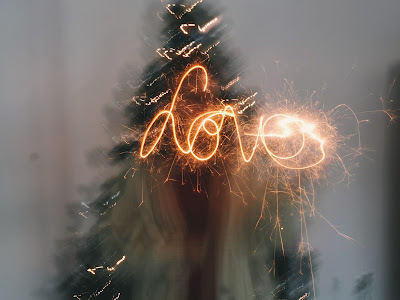 Hello, and Happy New Year! 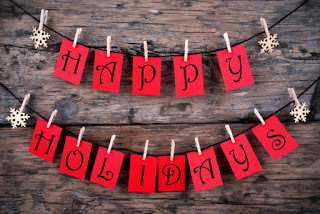 Welcome back, we hope you all had a fantastic festive holiday and spent quality time with family and friends. But now let’s get back to business, ready to take 2018 with both hands and get off to a successful start! We can’t wait to get started with helping you guys to improve your salon management and boost those business sales, let’s do this! And that’s a wrap for another year! I’m sure these years are getting faster, but yet again we find ourselves at the end of December and about to begin a new chapter. It’s been another brilliant year for us, one of our busier years in fact! 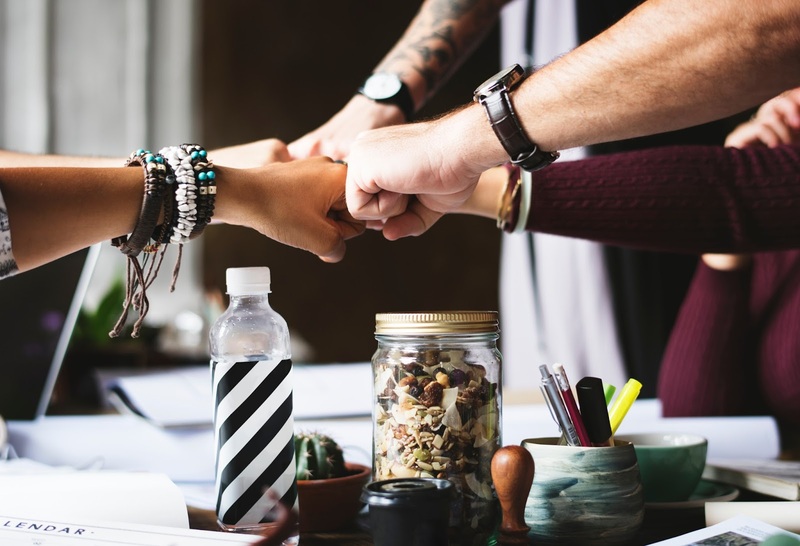 We’ve got lots of new faces, and that’s not just clients - we have a few new members to the team as well which I’m sure for our current customers you’ve had the pleasure of chatting to some of them over the phone these past few months. Marketing tips to make sure you start 2018 with success! So, after the busy buzz of the Christmas period, Jan and Feb can seem like extremely quiet months for your business. I mean, in comparison to the rest of the year they are always going to feel quiet, but after the extremely frenzied festive period, the contrast can feel noticeably greater. Still having said this, there are some extra things that you can be doing to boost your business footfall and sales a little bit in to the New year. In the toughest months it’s all about product placement and setting the right marketing campaigns to catch your clients eye above all other competitors. Whoever says email marketing is a dead art form is very mistaken. Pretty much everyone still has an email account these days and uses it. Smart phones and other portable devices have made it possible to connect and stay on top of your emails on the go and at any time. As a salon owner, you own a business that flourishes from customer interactions that needs to develop ways to attract new, as well as retain current clients. Email is not only a powerful marketing tool it is also free to use with many providers. The options with emails are plenty and it can be used in many ways, from campaigns to promotional emails. There are a few simple steps you need to do in order to optimise your emails, to get the most our of them. 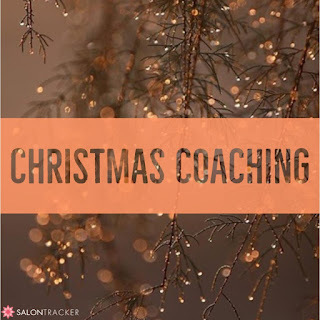 Salon Trackers Christmas coaching on how to make the most out of your salon this season! 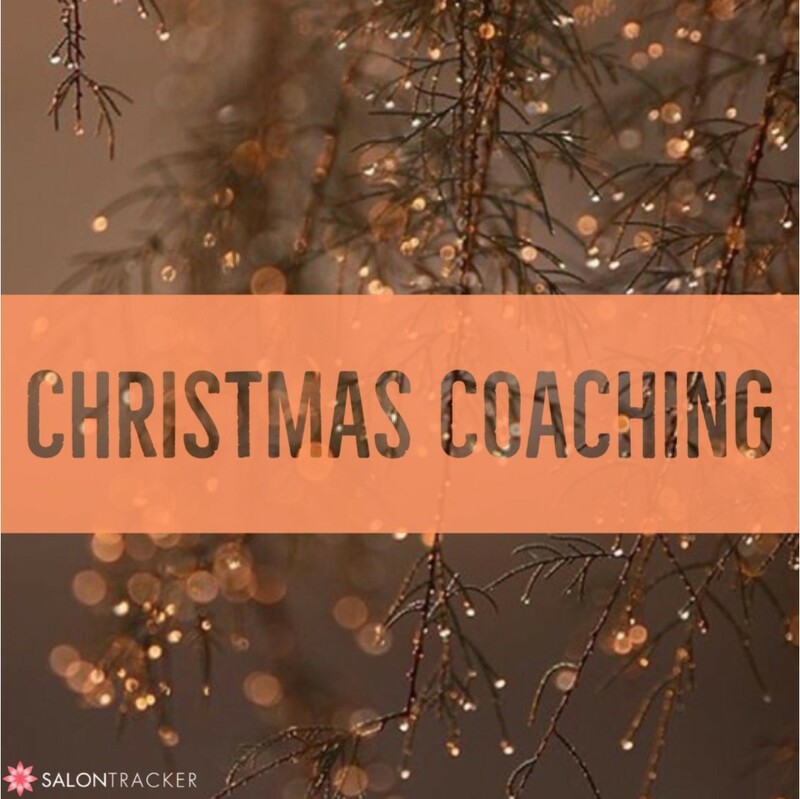 I am certain you are all aware that nerve-racking November is already upon us and with Christmas just around the corner, there isn’t any more time to waste when it comes to getting your salon out there! Following our last feature of the month we thought to continue to write about a feature that you perhaps didn’t know about.Therefore, this month we are introducing Salon Insights, a feature that has been around for a while and we thought to remind you of its advantages. 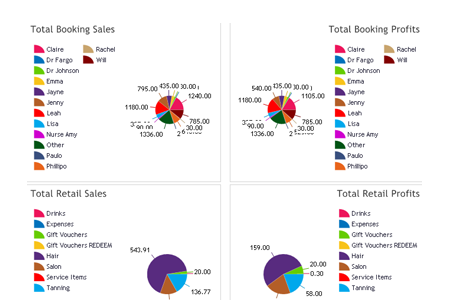 If you haven’t heard about it yet, it is basically an all-round analytics tool that helps you keep track of sales, performances indicators and growth of your salon throughout the year. It is the perfect tool to find out when your busy periods are and what months are quieter. This not only helps you to plan accordingly to any busy periods but also helps to think about promotions when you have quieter periods. 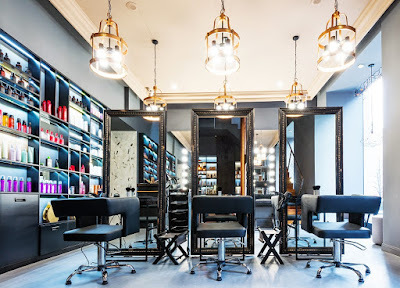 Salon Insights can be accessed on a PC or mobile device and is a beneficial way to stay in control of the salon, especially if there should be a time when you cannot be present to oversee everything. If you’re unsure as to where the year has gone, and how we ended up in November with only 6 weeks left until Christmas day, then good. We’re in the same boat. Now you’re on board… I’m going to fill you in with 6 ideas’ (one for every week we have left) as to how you can keep not only your clients happy, but your staff as well. 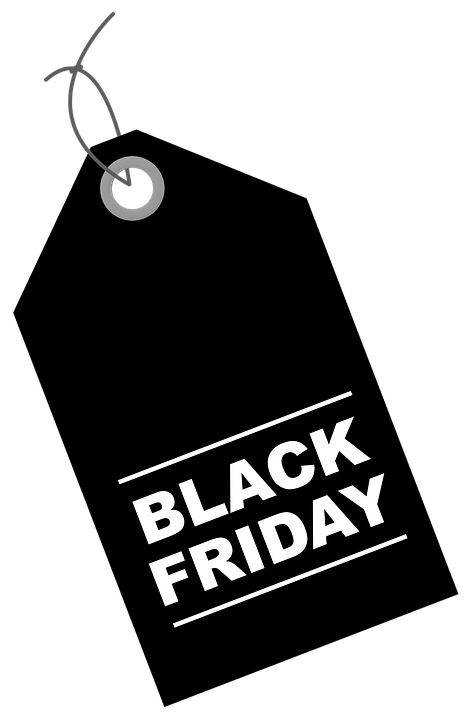 Why it is essential that you take part in this year's Black Friday! Normally, November starts the countdown to advent but no, not anymore. November = Black Friday and our reduced Christmas gifts for friends & family (and a few treats for us while we’re at it)! From what I can remember, Black Friday has only seemed mega-popular in the UK over the past 3, 4 years or so. It was always massive in America, but it’s so great for UK business now that we have jumped on the band-wagon too! 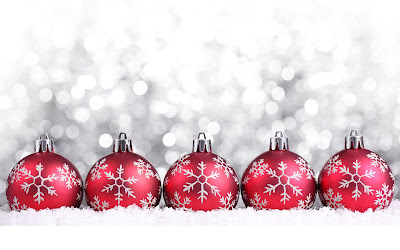 Christmas is just around the corner and many salons are already filling up their appointment books rapidly. Understandably, you want things going as smoothly as possible during this busy period and being prepared is just one of the measures you should take. 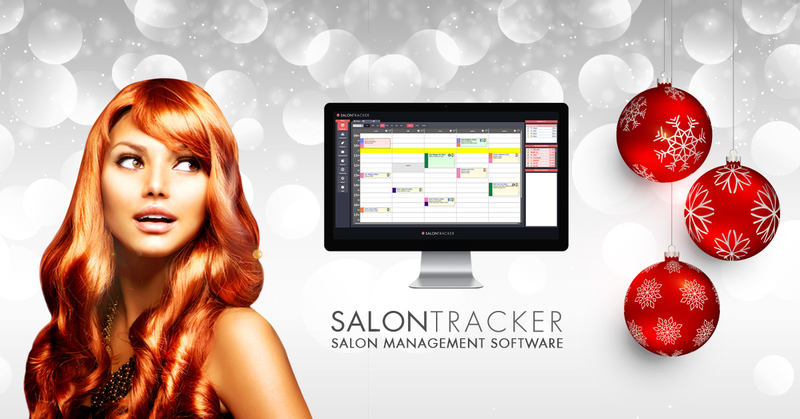 Working with software, especially Salon Tracker is designed to make your life easier and manage your salon through every period of the year. 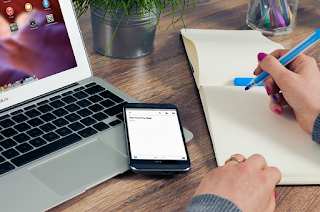 No need for pen and paper anymore, as you now have everything electronically available. Good advice is always helpful when your head is full of other important bits to keep track off. How your Salon can help Children in Need this year! 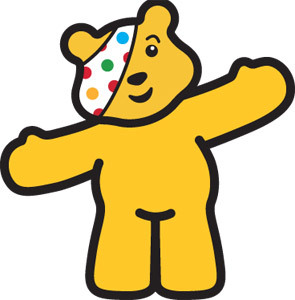 Children in Need is right around the corner again! 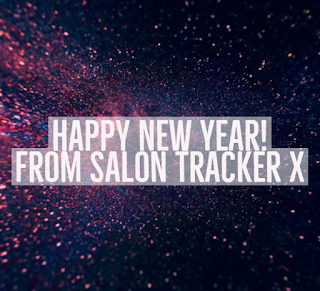 Here at Salon Tracker we want to help in any way possible, and I’m hoping you do too. Your salon is the perfect place to raise some money for Children in Need this year, but it’s all down to the planning and preparation that you put in. There’s no need to panic though, we’ve mustered up some of our best ideas for you to run in your salon! Feature of the month - Hidden Features that you perhaps didn’t know about! As we get into the month of October, there’s only one thing that’s on every salon owner and workers mind, Halloween. This and how their salon is going to take advantage of the guaranteed Halloween rush. 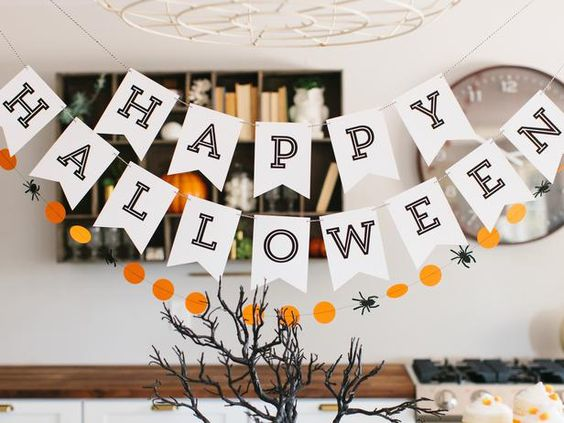 Here at Salon Tracker we have come up with a few tips and tricks for you salon owners to take full advantage of to market your salon properly in order to have a happy Halloween rather than a horrifying one! I am hoping that you are already aware of the new and updated law coming into effect on May 25th 2018. I am also hopeful that you are already considering the changes you and your salon may need to make in order to comply with the new regulations. However, if you’re not, we’re here to help and want to make it as easy as possible for you and your staff… so take a seat, a notebook and a large coffee; you’ll need it! Ways to improve your social media! We’re now in a world where people are constantly checking their social media pages, so if you don’t already have social media accounts for your salon, well you’re missing out! The best thing about social media is that its FREE, yes you read that correctly, free! Facebook, Twitter and Instagram are the three main social media platforms with over 2.8 billion active monthly users combined, so why not use them to your advantage! Maybe you already have accounts but they aren’t really working out for you? Well fear not, I’m going to give you our best tips so that you can improve your social media and make it worth your time. 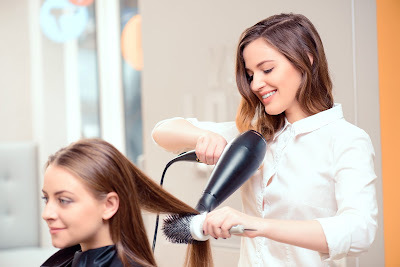 When you Google a salon name, the salons Facebook page will be often be one of the top results, and its where potential customers will be able to see what people think of that salon. Facebook reviews are seen as a saviour for many people, and they will often help them to make up their mind on whether they want to visit your salon or not. They can give a potential customer that extra level of trust that you’re going to do a good job and not ‘ruin their lives’. So, my top tip would be to ask your customers to leave a positive review on your page, if your page has a bucket load of 5-star reviews it could be the difference between someone visiting your salon, or going to your competitor down the street. Persuading your clients to leave you a review isn’t as easy as it sounds, maybe start by asking your most loyal customers who you can trust to leave you a positive review. The last thing you want is potential customers seeing a bad review on your social media page, so we recommend that if someone does leave a bad review, you immediately reply quickly and positively, even apologising when they are in the wrong. This will often lead to them deleting their review, or even posting a new, more positive one, and even if they leave it be, potential customers will be able to see that you have at least attempted to resolve the issue. I know it can be hard finding the time to post on your social media pages, especially when you’re a salon owner. But there’s no need to panic, there are plenty of websites out there with a sole purpose of helping you, well not just you but you get what I mean. A great online scheduler, that’s once again free, is ‘Hootsuite’. 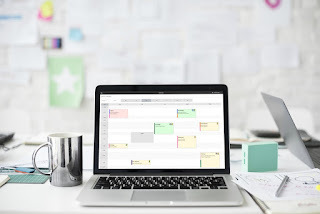 Hootsuite is the perfect way for your business to plan ahead with your social media, anytime you have a free hour or even a few minutes you can schedule some posts that will then automatically post on the date and time that you want. 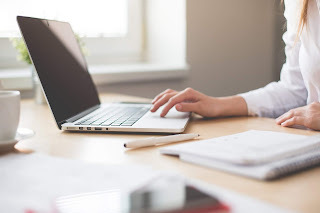 It’s important that you plan your content, and make sure that you’re not only keeping your customers up-to-date with the latest salon news and offers, but you are also posting more personal and relatable posts. Social media however is the best place for you to be posting any offers or deals that you are currently giving out. Your customers or any potential customers will be able to just view your social media pages and immediately see that you are offering these deals without physically having to visit your salon. 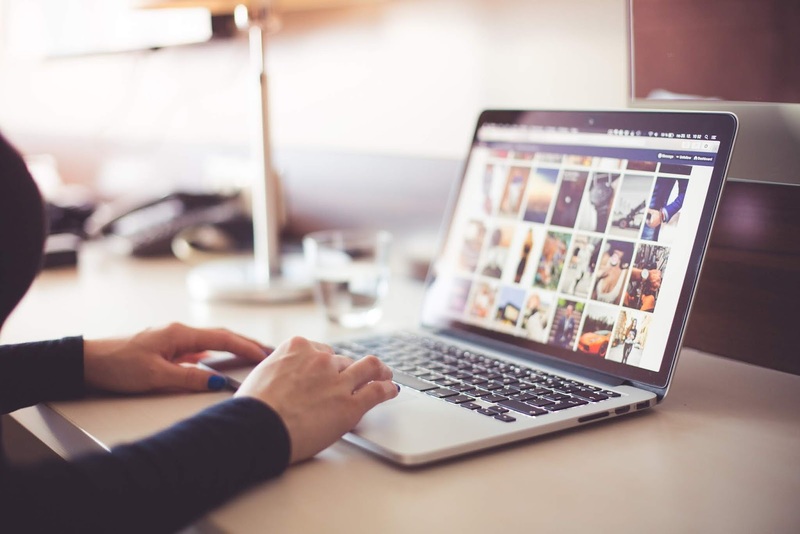 You need to be using these platforms to show your best work off to the world, so why not ask your customer if you can take a quick picture of their latest hair style, or set of nails, and then post it on your social media. Instagram probably first sprung to mind when I mentioned posting pictures, and obviously it’s a great platform to use, as people will go to your Instagram expecting to see pictures of your work, but make sure you don’t shy away from posting them across all of your platforms. If potential customers can see the great work that you have been doing, then this could, again, be the deciding factor in whether they visit your salon, so why not give it a go? 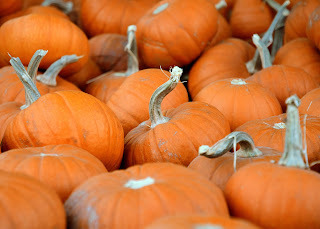 We’re back in autumn already! We can’t believe it, official 3 month Christmas countdown. In fact, 3 months today we’ll all be well untruly in our element, pressies opened and nicely stuffed from 3 days of festive binge-eating! So, what can you be doing at the salon this autumn to ensure that your peak-season is a successful one? 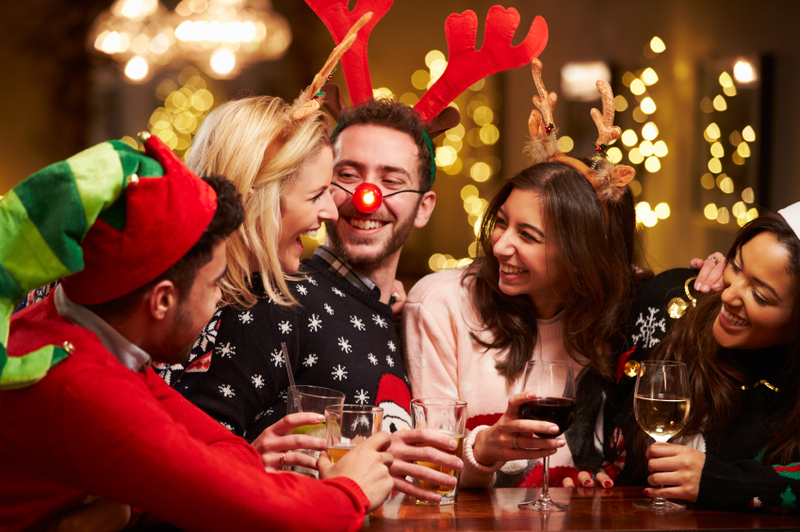 There are lots of events that you can take advantage of throughout the next couple of months and in the lead up to Christmas, like Halloween, Bonfire night and Black Friday! And also a couple of Charity events, which are great for fund-raising money for a good cause but also, raising brand awareness & great projection for you! For example, you’ve got ThinkPink in October for Breast Cancer awareness & Movember for attentiveness to men’s health! We have attended Professional Beauty North for quite some years now and it’s always a pleasure to return to Manchester Central to meet new people. As a business, whether you are just there to visit or if you are exhibiting, it is a great place to network and find out about the latest products and treatments. Especially for salon owners, trade shows are great opportunities to purchase new equipment and gather inspiration for the salon. However, if you have ever attended a show you know how busy these can get. Businesses try to talk to you about their products and services and try to offer you the latest deals. It is easy to lose focus on what exactly you need and why you came to the show in the first place. It’s that time again! Our latest feature of the month is filtered marketing, and how you can use it to benefit your salon. Our customers often contact us asking for help sending out their latest campaign, mainly just because they want to make sure they’re doing it right. With the world becoming more and more digital, it’s important that you as salon owners use this to your advantage, and it can be done directly from our Salon Tracker Software. One of the most obvious advantages to marketing would be that you can target certain customers and audiences. With our built-in sophisticated marketing suite, you can send SMS messages, emails and letters to your clients, however the SMS feature is the most useful to salons with around 98% of SMS messages being opened, making it the perfect way for you to reach out to your clients. Although it may be a thing of the past, you can also send letters and emails to your customers, our marketing suite does all the work for you, all you have to do is send them out. Finding and hiring the right staff for your salon can be a tiring challenge that sometimes just can’t be avoided. 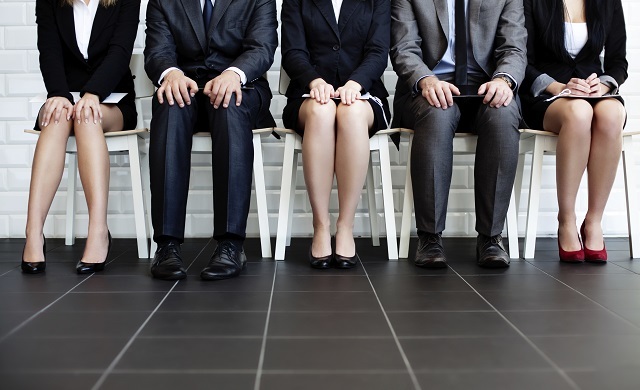 A shortage of skilled candidates in the industry will make it even harder to find the right person and the last thing you want to do is take on someone, you’re not quite sure about just because you need more staff. Nevertheless, we don’t want you to dismiss new possibilities altogether and with the right tips and tricks you can find the right new people for your business. To make things easier we have compiled a few useful tips from beginning to end, concentrating on what to look out for when hiring. Your Sunday Night Regime to ensure you start the Working Week off well! One thing all salons need is exposure. Today we’ll be giving you some handy tips and tricks when it comes to exposing your company in your local area. For salons, no matter if it’s hair beauty or tanning, it is a given that most of your customers will be from the local area. However, relying on your loyal customers will hardly bring any growth to the business and many businesses are using various marketing strategies to encourage potential customers to book. If you want to get noticed by more people, whether you are a multi chain company or want to be the big deal within your community, the web can help you in many ways. 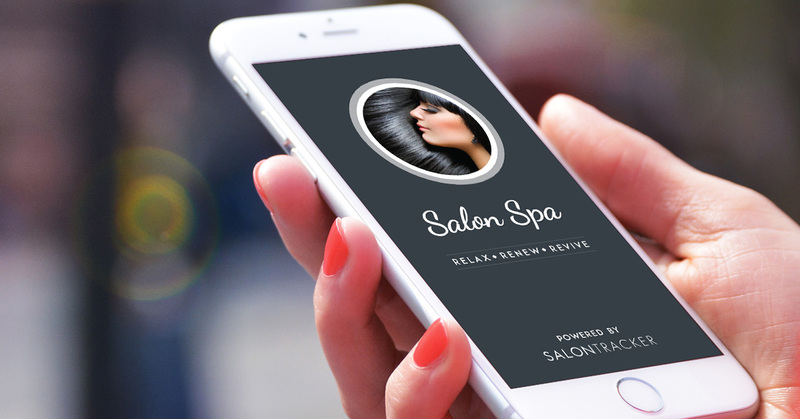 Promoting your salon’s products and services online, through platforms such as Facebook and even mobile is quickly becoming the way to go. 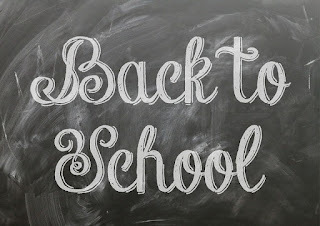 Our Tips For The Back-to-School Season! Although it may seem like the summer holidays have only just started, school is right around the corner again. For many parents, the summer time can often be seen as a time to try get the best possible deals on new uniforms, stationary and all the other countless school essentials. However, for you as salon owners this time can be used wisely to attract sales and to promote your business. Here are a few straightforward tips that you can use to ensure that the ‘Back-to-School’ period is a successful one. August is here, which means it’s time for another feature of the month post. As most tanning businesses are booming over the summer months we thought it would be worth diving into special tanning options on our system that might come as a surprise to you, as our technical and advanced features are often forgotten. However, what most people don’t know is how much easier they can make salon management. Especially for our Tanning Salon owners! We thought about ideas and what we could do that we haven't already done. We talked about tanning features before, such as security and tanning rules. But we realised that we have never really talked about how you can actually manage your minutes and courses and especially any special offers through the system. Therefore, this month we wanted to dive into the option of controlling your Unlimited courses and Happy Hour sessions directly from the system. How to use the UK’s Summer Festivals to up your Salon Sales! August! The month of some of the UK’s biggest and best-loved festivals. Spread all up and down the UK you’ve got Creamfields, V, and Leeds & Reading – festivals that are a whole mix of music genres from house to pop to indie/rock! 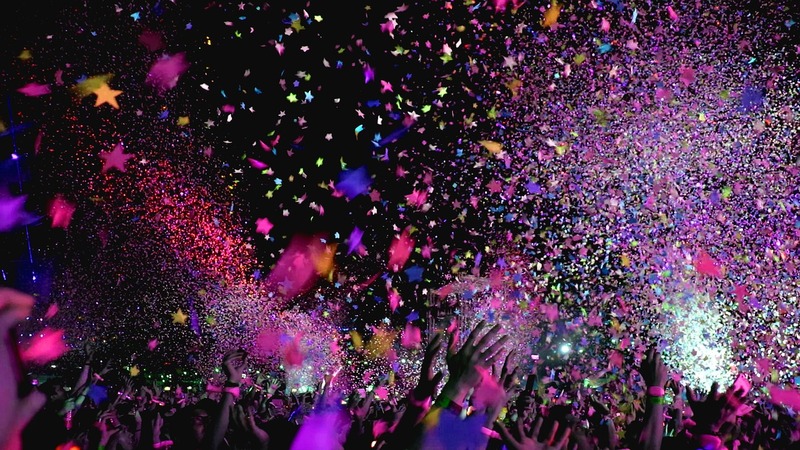 So, a perfect time to attract clients of all different interests and to run some festival-themed campaigns to attract each of these target audiences. So, dependent on where your salon is based, you’re going to want to research the genre of the festival that is close to you in order to market to the appropriate audience. For example, look at the average age of the visitors, what their common interests are, and so on. This way you can create a strategic campaign that is well suited to attract that particular clientele. Salons are not just about good service, talented staff members and plenty of bookings. However, all these things have one important aspect in common: Good Organisation! Success often starts at the front desk and therefore it is important to keep it clear and organised, as well as have a clear strategy on how it is managed. However, you should not be too busy to class front desk management/ organisation as trivial. Managing your front office effectively is often not a primary business objective; but it should be. If your reception or front desk is unwelcoming, it will portray to customer that your salon is not very 'service oriented', meaning you could be driving customers away with this. Organisation does not mean what goes behind your desk but also how your front desk organisation portrays to customers and the business. A well-organised appointment book prevents you from making mistakes that have a negative impact on the customer and therefore the business. Keeping an eye on finances and reports can help to create an annual action plan and develop strategies for quieter periods. So it’s time for our Feature of the month, again, gosh this year is flying by - we’ll be writing about winter soon! Anyhow, we wanted to really strip back this month and instead of exploring some of our more technical and advanced features, we wanted to instead talk about one of the most simple and fundamental benefits to every salon owner. 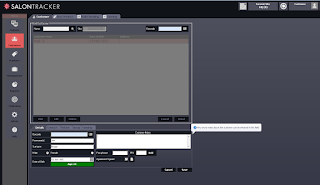 This is our Seamless POS tool. I’m sure a lot of you are asking yourself these questions. What are successful salons doing right and what are their secrets? What methods are they using that I haven't already tried or thought about or? Is it just pure luck, or is there more to their success? Why Online Presence is so Important for your Business! Last week we were all astonished that it had been 10 years since the first ever iPhone was released. I mean, we can’t even remember a time without our smart phones, what did we do?! But it’s strange to think that it’s only in the last decade that these technological advances have really evolved, where we can’t imagine a time where we didn’t have these forms of transportable technology. It just goes to show how the way of the world has changed in the last 10 years. I mean, as a kid we used to read story books and join dot-to-dots in activity books, nowadays the kids are better on iPad’s than most of us adults - with the majority of our traditional games now going digital on these devices! So, just a little something to think about, as the younger generation in another 10 years’ time could be some of your clients and the technology will by then have advanced even further, we would expect. 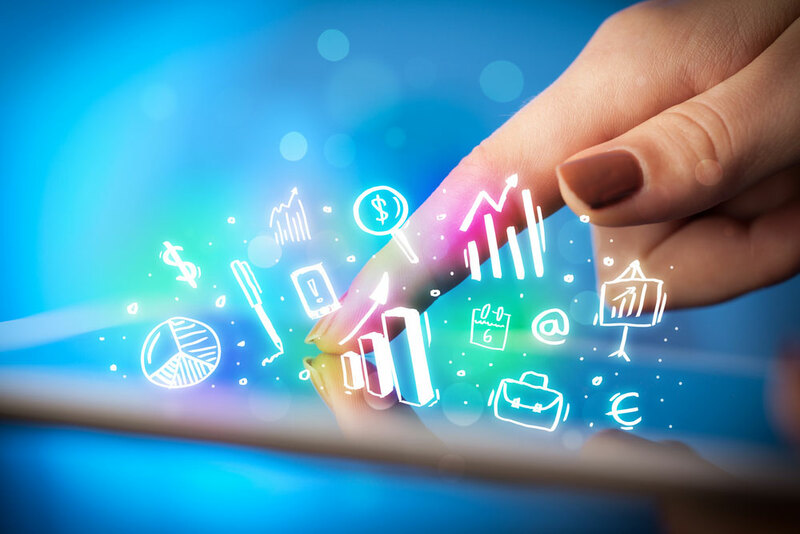 Having said all of this, we just wanted to discuss with you the importance of your business being online, and why it is essential to have digital platforms to be able to communicate with your clients. The atmosphere that you create will be the biggest reflection of your business’s overall image. This can be anything from the design to friendly staff and cleanliness. Therefore, it is important to plan your overall goals beforehand, in order to achieve the perfect ambience. Your salon’s atmosphere can successfully reflect your salon’s brand in the right way through the actions you take. The most important tip that we can give you is that you create an atmosphere that is welcoming and relaxing for your customers and true to your brand. Creating a good atmosphere can seem like a tricky subject that requires creativity, but this is not the case at all. Sure, you can work with different kinds of décor and design ideas but offering a neutral and bright environment that is clean will also do the trick. Additional items that help to brighten up the place can always be added at a later point. You can, for example, help by having fresh flowers at the reception area or other small décor items. You want to make customers to feel as comfortable as possible in your salon, as happy customers will be motivated to spend more on you. As a result, it is critical to create an inviting and pleasant atmosphere that will keep people coming back over and over. Putting a little extra time and energy into improving your atmosphere can have a positive effect on your business’s revenue and growth. For our last few features of the month, we’ve discussed all the wonderful add-on technology that we offer to really enhance your salon. However, on looking through our product-list, we decided that for this month, let’s concentrate on the most beneficial aspect of owning a salon management system. That is, the digital client card. The ultimate salon goal for many is a constant increase in revenue by keeping all their loyal customers whilst also attracting new ones regularly. After all, what makes your salon grow are new customers but also loyal customers, as they hopefully refer you to their friends and family. If all of your clients would only visit for one appointment and never return, you have nothing to build on and certainly no room to improve. The best way to increase business is to expose yourself to old as well as new clients and to build up strong relationships with them. Now you might ask yourself how effective client retention really is and how you get going at your salon. Luckily we have done some research for you and found out that the average salon can lose up to 20% of its customers annually because they neglect customer relationships. To prevent this you can use different techniques to improve customer service, which will increase the amount of people returning to your salon. 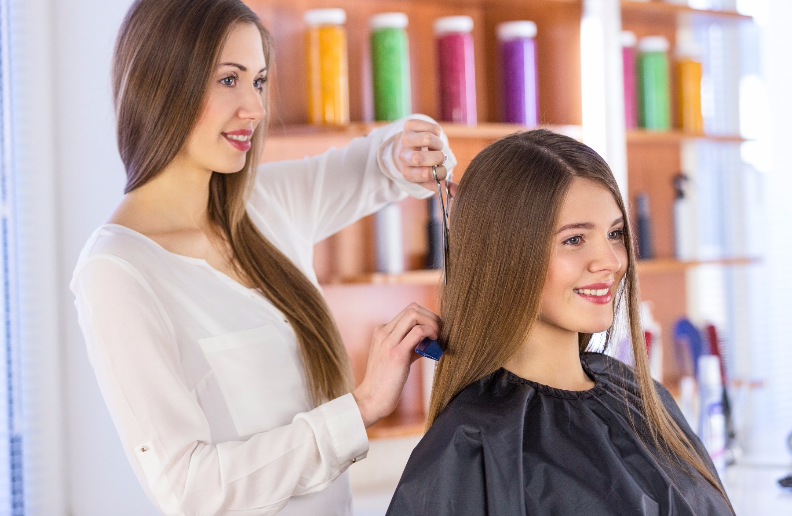 Client retention is one of the best and most important things salons should be focusing on. However, you should still focus some energy in reaching out to new clients as well. So below, we have listed top tips on how to attract new clients and how to retain them. Salon Tracker’s Top Tips for Boosting those Salon Sales this Father’s Day, and in to Summer! We can’t believe that Father’s day has come back around again, hasn’t the time gone so fast! It’s always great around Father’s Day because you can cross-reference some of your marketing to suit other nearby events, like Proms, Wedding Season and Graduation, to name a few. All of these events are great because they are directed at both males and females, so the marketing is relevant to such a large target audience. 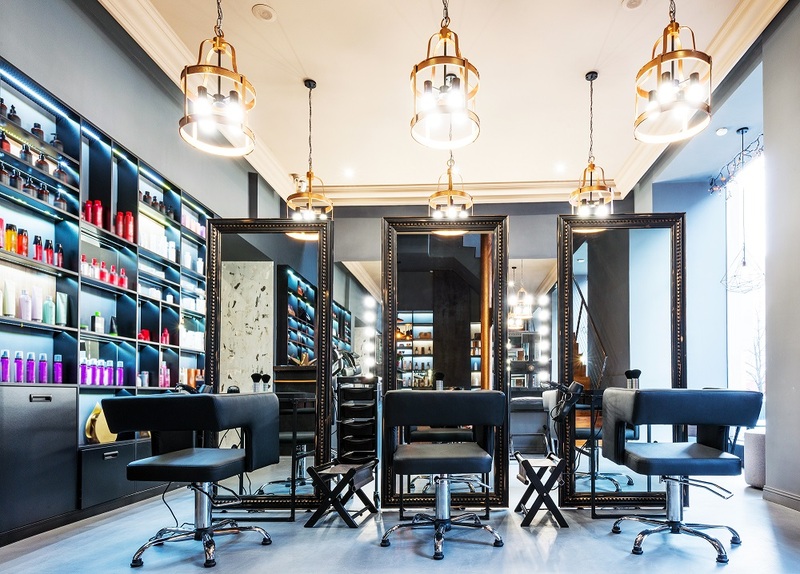 How can your Salon be more secure? 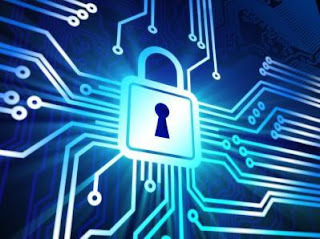 Most of us have heard about the recent incidents, where companies have been affected by cyber hacking and ransomware. It was hard to miss when big organisations such as the NHS were affected by these actions. But what exactly is ransomware? And how can I protect my own business against similar attacks? 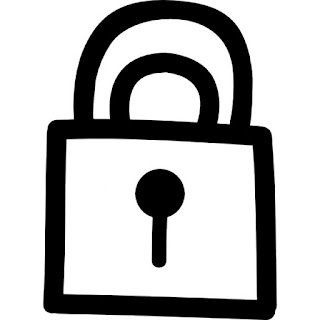 According to online sources, ransomware is a type of malicious software, designed to block access to a computer system until a sum of money ‘ransom’ is paid. Although, ransomware is usually aimed at individuals, in recent weeks more and more businesses have been targeted as well. It is commonly delivered through phishing emails and attachments. Since then we had many enquiries from customers as well as individuals asking for advice on how to keep their salon secure. One of the questions that came up multiple times was certainly the way that Salon Tracker secures data. 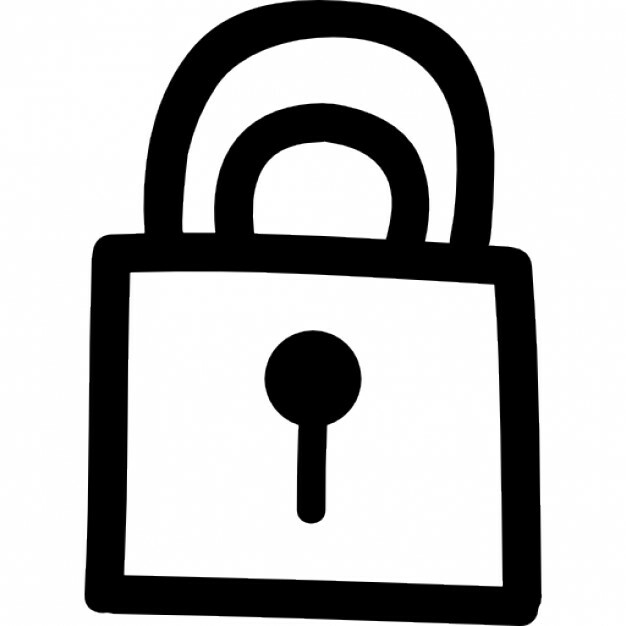 Not only do we want to talk about the technical site behind our software, we also want to give you a few tips on how you can keep your PC and your client data secure as well. Therefore, this post should give you a better idea on Salon Tracker’s security and ways in which you can protect yourself from happening to your PC as well. One of the main gripes from salon owners when we were first conducting our research for software features was that they were struggling for the spare time to track business KPI’s and sales revenue. This is why when we were designing Salon Tracker, we carefully implemented features in order to make salon owners lives easier and to also save you and your employees’ time. As many are finishing exams and summer is slowly approaching, it is also that time of the year that many pupils look forward too: It’s Prom night! Sparkly dresses, golden skin and impressive hair up-do’s are all part of the night. For many pupils this is one of the most special times in their school life. Hair and beauty salons are especially busy during this time for a good reason, as they contribute significantly to the outcome of the night. As we move towards summer, there are plenty of opportunities for salons to increase their revenue. Anything from wedding season to May Bank Holidays can be used as a potential marketing opportunity to get new clients through the door and retain current ones. 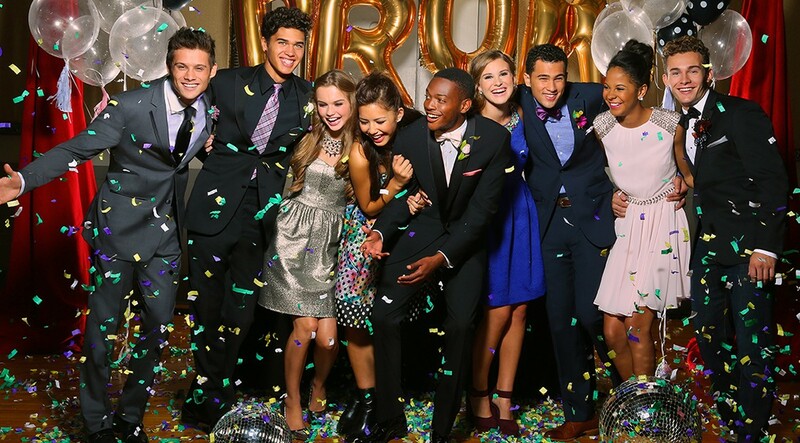 There is more to a prom night than just finding the right dress. A great dress has to be perfected with matching nails and hair. Prom season can be just as profitable as wedding season if you play your cards right and treat your guests like it’s the special day they want it to be. Negative feedback can be demotivating and emotionally draining, especially to the owner of a business. You are the founder of the company and sometimes it is easy to take those adverse comments as a personal attack. The thing is, every business is bound to experience the odd poor review from time to time and this is just due to your clients' personal preferences. So this is the first rule when it comes to handling negativity, to not take things personally when it comes to poor feedback. Why? Because it can affect the way in which you deal with that negative review, especially if you are angry about the feedback that you have received. In the meanwhile, this can then have a bad impact on your business if you are to respond to a complaint in disagreement on a customer facing portal – like social media for example. Remember, last time we spoke about tanning security at the salon and how to avoid being fined? Don’t worry if you have missed it. I will include a link at the end of this blog if you want to catch up on it. While the topic of security is obviously a very important one, it is however as important to get the basics right at the salon from the beginning. Meaning, if you only concentrate on one aspect of the salon but neglect things such as management and customer care, it can be just as damaging as bad security. 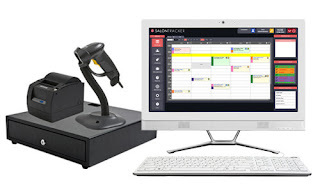 Here at Salon Tracker, we have developed a system that helps you with the day-to-day tasks of running a tanning salon. From managing your bookings to cashing up at the end of the day, our smart features are designed to make every salon owner’s life easier. Marketing is extremely important to the succession of every business. For those of you that regularly follow our feed, we have wrote a lot of blogs in the past offering our advice and pointers to help you with your marketing strategies. There are many different ways in which to advertise your brand and promote your goods & services, and one that we haven’t highlighted in some time is gift vouchers. It seems like such a simple topic to discuss, and you would think that a lot of people already have a gift voucher system implemented within their business, but you would be surprised how many don’t and you could be missing out on a simple opportunity. Obviously, there is a small outgoing for the design and manufacture of your gift vouchers, however once you weigh this up against other marketing tactics, you’ll find that the cost isn’t that expensive in comparison. The plus point with gift vouchers is, you are usually getting a direct return on that marketing cost as those customers will visit the salon as a result of receiving a voucher. Especially if this is a new customer, it is a great way to acquire new clients for your salon database. This month we're talking about why it is important to offer online booking and how Salon Tracker can help you get the best out of your software with our online features. Did you know that there are countless reasons that offering online booking is not just important - but rather a must when it comes moving forward with customers? 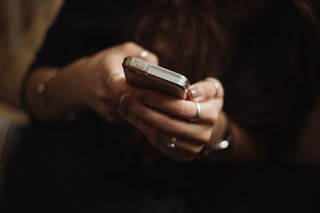 "Research has shown that 70% of Facebook users interacting with Facebook daily and the average Smartphone user picking up their phone about 1,500 times a week". That is this crazy but I have to say I am definitely guilty of this. Moving with the time also means being up to date with what the internet has to offer. There are many advantages for your salon why online booking is profitable. It is a much quicker and more convenient way to just grab your mouse or your smartphone and book online. 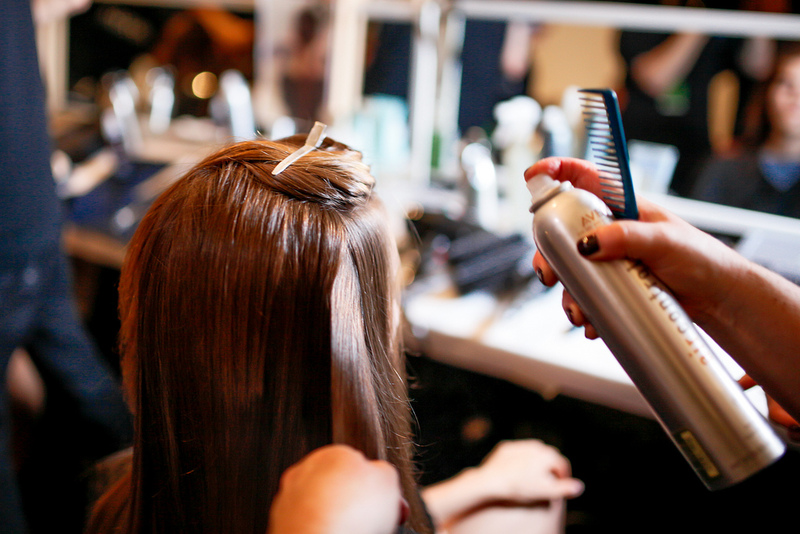 For Salons, it is important to stay on top and adapt to changes in technology. More and more people using their phones and the internet to do everyday tasks, such as banking and even their grocery shopping. No wonder it is expected from other businesses to offer the same service. Furthermore, you can offer customers the ability to book an appointment even when the salon is closed. Meaning, you could lose serious business if you don’t offer online booking but everyone around you does. 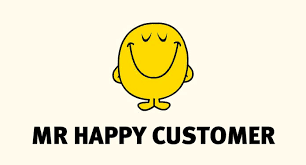 New customer might be booking with the competition, because the process is easier and more convenient for them. 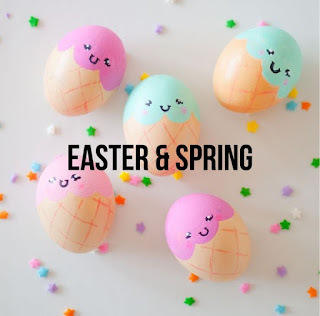 Easter is arriving later for us this year, but this is a brilliant benefit to all you salon owners as you are in the height of spring and we all know that this is a great time of year for business. The mild weather begins, there are all the May bank hols approaching and many clients have got their late-spring holidays booked, so they’re looking to you for their pre-holiday pampers! You may have read our post a couple of weeks ago where we looked at spring marketing advice. This week we’re going to discuss last minute promotions for your Easter campaigns, including retail up-selling! Good Morning and happy Wednesday everyone! This week we thought we would do something different and create you a Spring Look Book. As spring has finally arrived in the UK, we can also get rid of our furry winter coats, hats and mittens. If you are lucky enough to live in warmer areas as most of us, then now is the time to freshen up your wardrobe and prepare for Spring and Summer. Always remember that a bit of colour lightens up any outfit and will make it appear more interesting. To help you find some inspiration we have created a look book of styles that we like - and hope you do too. We can’t believe it’s the start of another spring again (although we’re verrrry glad about it!) But this is the time of year that salons see a massive increase in their footfall, especially those in the tanning industry as everyone wants their holiday base-tan! 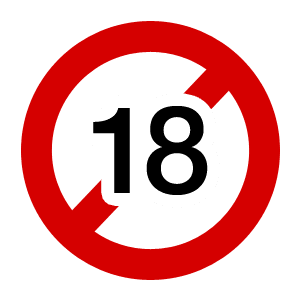 You will all be aware that The Sunbed Regulation Act 2010 came into practice in April 2011, forbidding anyone under the age of 18 from using a tanning bed, or being within a booth that a tanning bed is situated. Today we will have a closer look into email marketing techniques and share some promo examples you can use this spring to get more customers through the door. 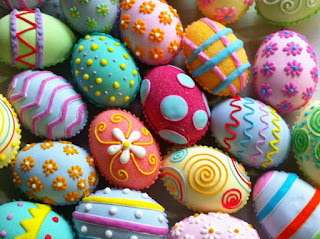 Whilst Christmas is obviously one of the best time of year to market to customers, Easter and spring is not far behind. In fact, a well thought out Easter campaign can have a positive effect to your business and increase your revenue. Email marketing is a fantastic way to tell your clients about any products, offers or special discounts you are running. Why not even offer an additional discount if they sign up to your newsletter. This way you get more people to market to and simultaneous increase interest in your products. Marketing yourself can improve your business and revenue by a long way. The great thing is that there are plenty of opportunities to promote offers and discounts, from Social Media to poster, SMS messages and emails. 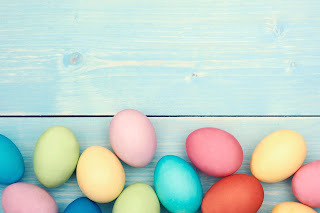 UK holidays, such as Easter are the perfect opportunity to jump on the marketing band wagon as many businesses are offering special incentives, because more people are off from work and will enjoy their free time shopping or thinking about special purchases. If you have an attractive offer advertised, you motivate them even more to visit and book with you. What a great opportunity to participate in! Marketing methods are extremely important for businesses with a B2C model, especially in the salon industry as it is so media-influenced by current celebs and bloggers, content needs to be constantly refreshed and up to date with present existences. There are many different methods of marketing direct to the consumer, however for salon industries, dependent on size and budget, these channels may differ from business to business in terms of affordability. Mother’s Day - Every year we celebrate all the contribution and work our mothers have done for us and this year isn't any different. The lead up the day always presents incredible opportunities to boost sales for most businesses; especially for salons, this great opportunity should not be ignored! Hence, why many salon owners join the cause to drive business forward and increase revenue. If you offer something special and unique, you help the customer’s buying decision and make it easier for them to choose your business over others. In the end, why should they purchase from someone else if you have the better offer. So be creative, unique and put some effort in to stand out. 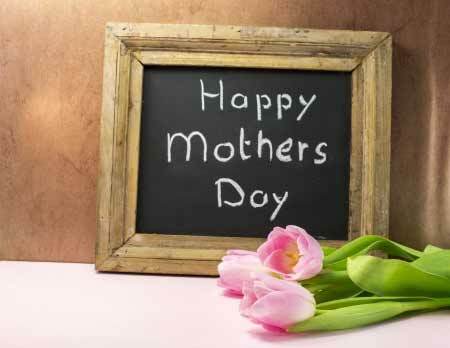 Often salons, spas and florists are the first places to come in mind when thinking about mother’s day gifts. It also means that everyone around you will likely do the same. If you want to stand out and be picked by the customer, you need to think of something else, something unique. 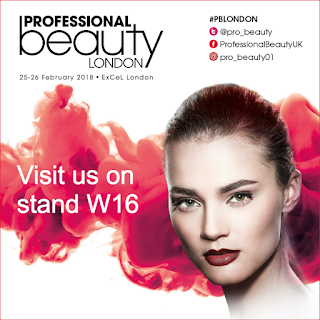 Thank you for Visiting us at Professional Beauty London! So that’s another trade show down and what a busy event it was this year. A big thankyou to everyone who visited our stand at PB London, it was great to meet you and to also see some familiar faces of our current clients too. It's always great to catch up with customers at trade shows, and to also find out what we can do to help new clients to improve their salon businesses - we had a fab weekend and hope you enjoyed it as much as we did! Have you ever attended a trade show or some kind of business exhibition, either as a visitor or as exhibitor? If yes, you know how busy these shows get, as everyone tries to talk to you and offer their products and services. Vast amounts of people are on the lookout for the best deals, newest products and their favourite brands. It can be easy to lose all focus and business goals when bombarded with information that does not even seem relevant to you. 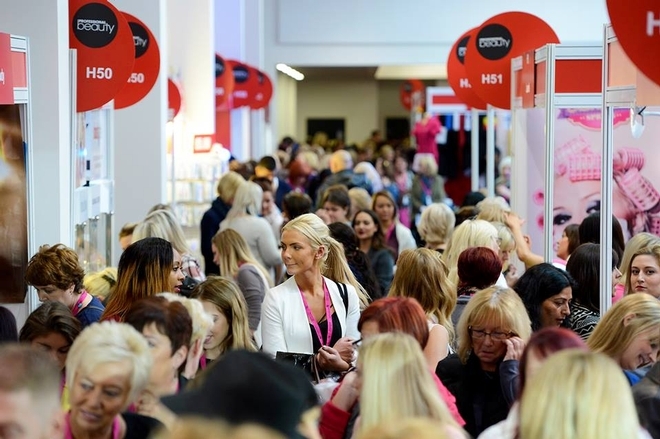 The trick is, no matter if you are a visitor or an exhibitor to keep a clear head and to know exactly what you are trying to achieve from the show. 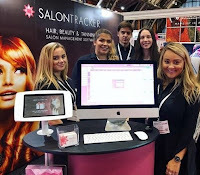 Our team at Salon Tracker will be exhibiting at Pro Beauty London in less than a week and we know many of our customers, and business partners will be going too. Therefore, we have explored the web for some tips and tricks on how to survive a trade show for both visitors as well as exhibitors. Read below our top three tips for visitors, followed by three helpful tips for exhibitors. Maybe you’re even thinking about exhibiting yourself in the future, or just want to explore the options. There is nothing wrong with getting some ideas and getting ahead of your game early. Even if you aren’t quite sure where your business is taking you, trade shows can be beneficial to you in many aspects. Need to improve security in the salon, perfect your business organisation and also ensure that no one is tanning fraudulently or illegally in your absence? Then read on to see how our Feature of the Month - The Fingerprint Reader can help you to achieve those improvements. Being a salon owner isn’t an easy task. You have to overlook the business, your staff, finances, stock and many other tasks. Keeping track of every aspect of your salon business can become very time consuming and stressful. Especially if you have more than one site to handle. You can’t be at multiple places at the same time and probably spend a fair amount of time away from the salon or rushing between each site. If you are using salon software to get organised, great, but did you know here at Salon Tracker, we can support all the needs multi-site business owners have? 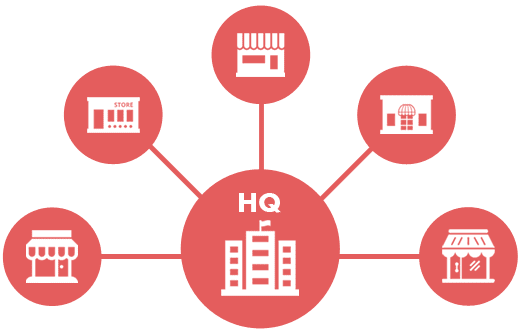 In general, salon software is a great addition to any hair, beauty or tanning business, whether you have one salons or a whole chain of twenty establishments. It helps you to get rid of all those excess papers and client cards and make more space for other things. All your information will be stored electronically, from info such as client records and stock control, meaning everything can be accessed in just a few clicks. Over the last year, we have made significant advances to our software that especially support multi-site salon owners. Our overall goal was to create features that can maximise business potential to those who have to manage more than one salon. From research, we have found that communications can be one of the biggest hindrances between each salon. As an owner, one of the biggest concerns is to ensure that everything is running smoothly. This Year's Valentine's Marketing Tips! Okay, so January always feels like the longest month ever (thank goodness it’s over) and especially after your Christmas buzz! Everyone can’t wait for another reason to generate some marketing, get footfall flowing and boost those sales back up again. So thank goodness for Valentines and that it’s here once more. It’s a great novelty event to utilise every year, especially with your younger adult market if you make your Valentines offers affordable. You’ll always get your ROI on any Valentine’s promotions, as the beauty is you can appeal to men & women of all ages and even create couples treatments too! 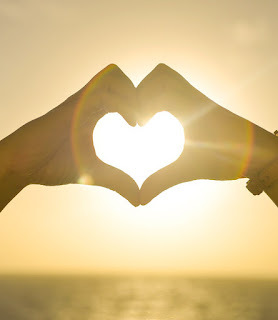 So, here are our top-tips on how to capitalise on the romantic period this Feb. It is that time of the year again, where we gather our things and travel all the way to London. 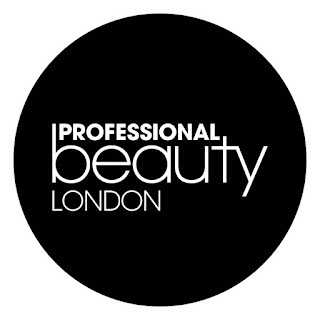 We are excited to be exhibiting at Professional Beauty in London again this year. After last year’s success, we are hoping to continue our journey and meet old, existing and potential customers there. The Salon Tracker team will be available on Sunday and Monday all day for any questions, demonstrations or general inquiries. We are specialists in our field so do not worry if it all seems new to you. Find us at Stand P2 and have a look at what we do. There is plenty to see at the show and the city as well. What better excuse to visit the capital a bit more often. 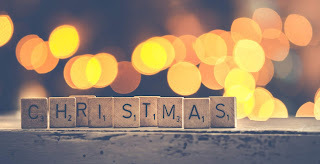 Over the past few weeks, we have discussed ways in which to capitalise on Christmas, how to promote in the lead up to it and also how to reward your staff during busy peak seasons. What a contrasting time January is, where business is much quieter and actually you may need a few marketing tips to generate sales in a time where they’re not as guaranteed as they were back in December. And maybe this isn’t just a time to create sales & new customers, this could also be a time to refresh your salon interior, update your services list and even re-evaluate your company prices. Competitor research is key here to understanding what else is on offer to your clients in the surrounding area and how it is that you can compete with these businesses. Customer service is probably the most important part of any business that deals with clients on a regular basis. Your brand always depends on customer service. Without customers you wouldn’t be able to run your business after all. Good or poor service therefore can highly impact the success of your salon. 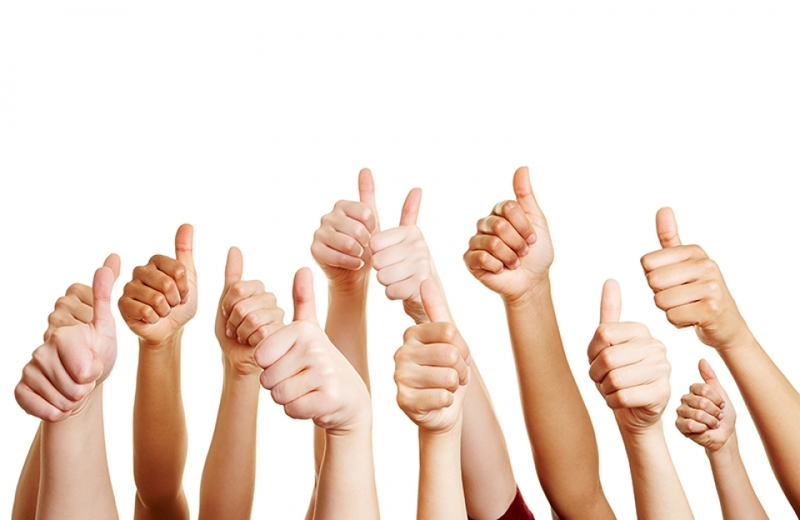 “To over-deliver in service to a customer is by far the most valuable thing to a business. Because there are only two ways to improve the operations of a business: increase sales or decrease costs” (Daymond John). Hello, hello, hello and Happy New Year! 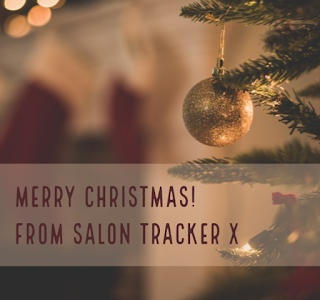 A BIG welcome back from all of us here at Salon Tracker, we hope you all had a fantastic Christmas with family & friends and managed yourself some well-deserved ‘me-time’ in and among handling the festive bustle in the salon. And that’s a wrap for 2016! Christmas is almost here. We cannot believe it is only a few days away. 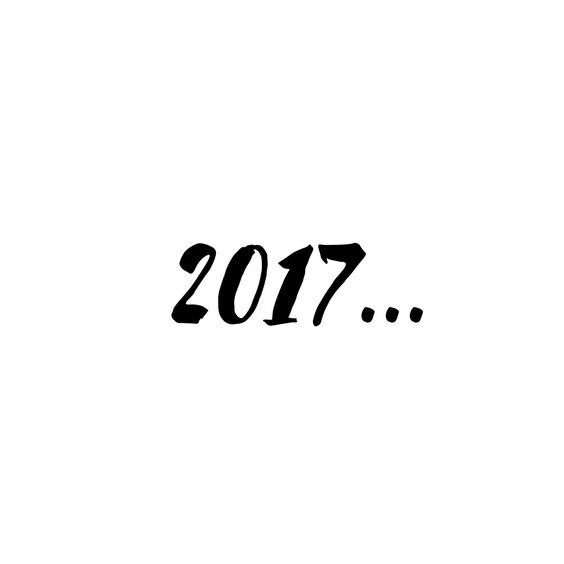 It seems to me that the year has only just started, but 2017 is approaching unbelievably fast. A lot of salons are especially busy over December as many customers would like last minute appointments to treat themselves before the festive period to look extra glamorous. However, this can often cause extra stress for the salon owners and its staff members. 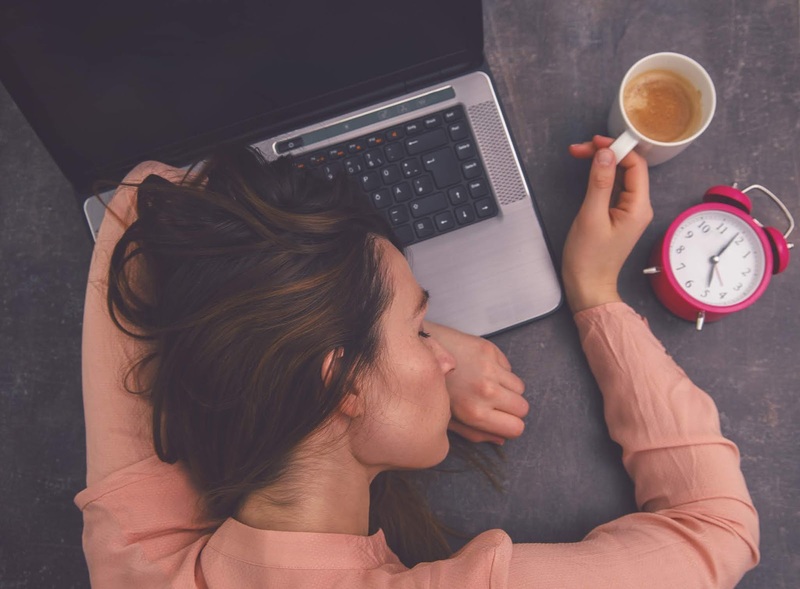 Long hours, extra promotions that bring the numbers of appointments up and customers that seem more stressed than usual can often be draining. It is understandable that energy levels can be low and it feels hard to keep motivated. This can lead to a lack of desire to give 100%, which can negatively affect customers and therefore your business. After all, those who work extra hard during this period deserve some appreciation. Therefore, we are looking at some last minute tips on how to keep staff members motivated and plan for the months ahead of you. As salon owner or manager, you have to overlook the business and manage the salon. Customers are not the only thing you have to take into consideration, but also your staff members. Without them your salon wouldn’t function on a daily level. Happy staff = good atmosphere at the salon = happy customers! Raising money for Save the Children! Every year, Save the Children run a national charity event in December to raise funds for their global children's charity. 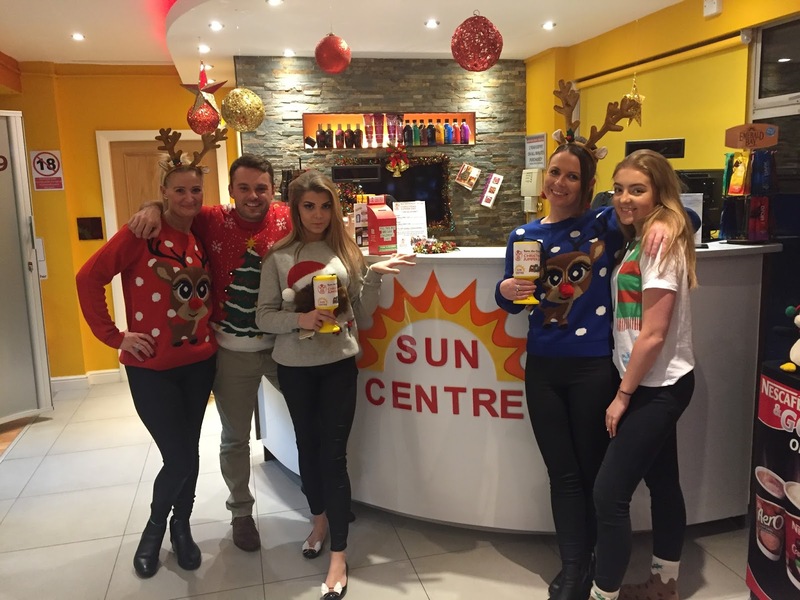 One of our clients the 'Sun Centre' in Ormesby, Middlesbrough ran a little fundraiser to join in with the national 'Christmas jumper day' and we helped out by donating free text messages so they could notify clients of the event. 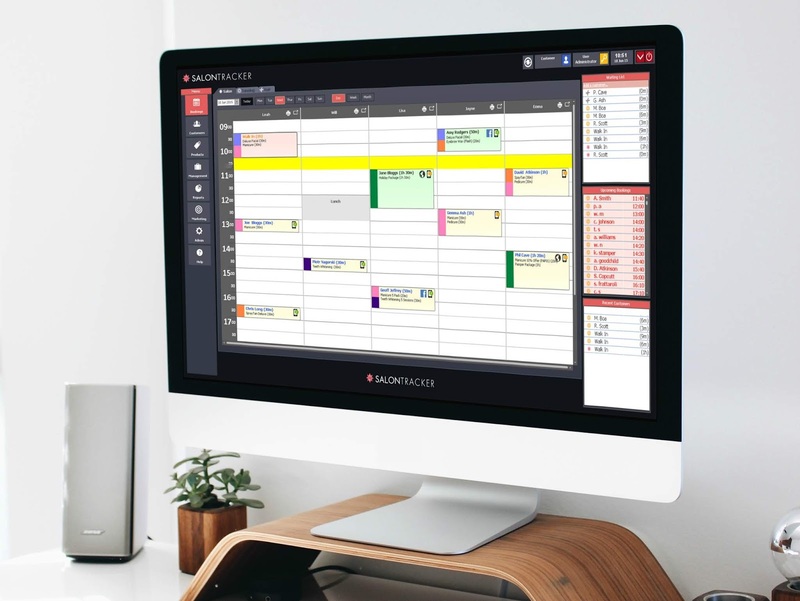 Many salons still rely on the traditional pen and paper appointment booking system, however new technology now makes it possible to use Salon Software to seamlessly manage your salon. 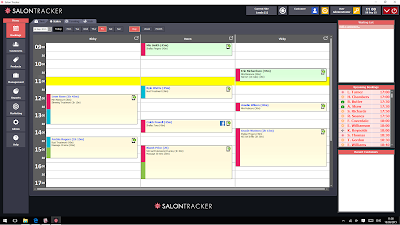 Salon Tracker is designed to keep track of all appointments and client data and is simply supposed to help with managing your salon better. It is far more than just an appointment scheduling system. 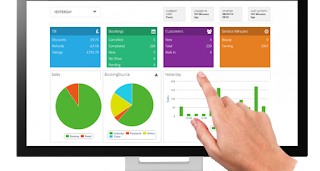 We offer features such as stock control, booking and no show reminders, SMS and email marketing, online booking, advanced reports and many more. This is certainly important if you are looking at boosting any last minute sales and want to target specific groups. What you want, especially before big sales opportunities such as Black Friday, Christmas or Mother’s Day is a system that makes life easier not harder, as well as support your staff and help you plan ahead. Promo tips for the Holiday Season! 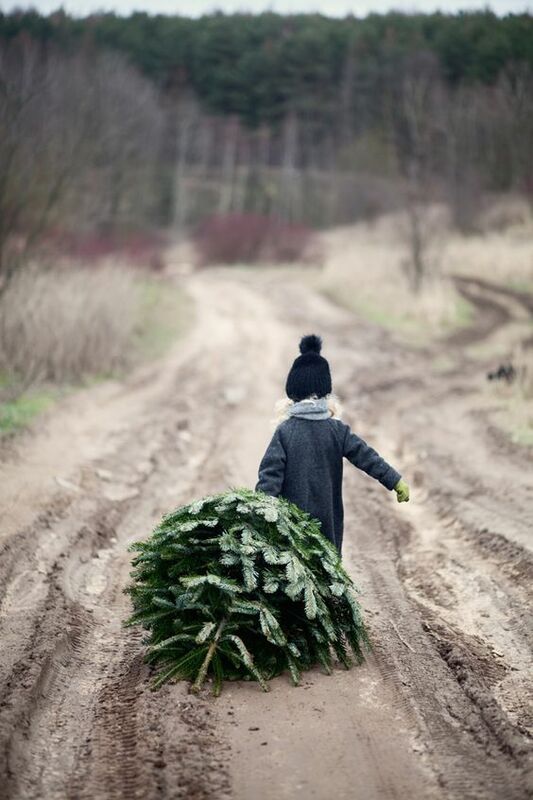 The holidays are coming…we can’t believe it’s the first of December tomorrow, let the advent period begin! 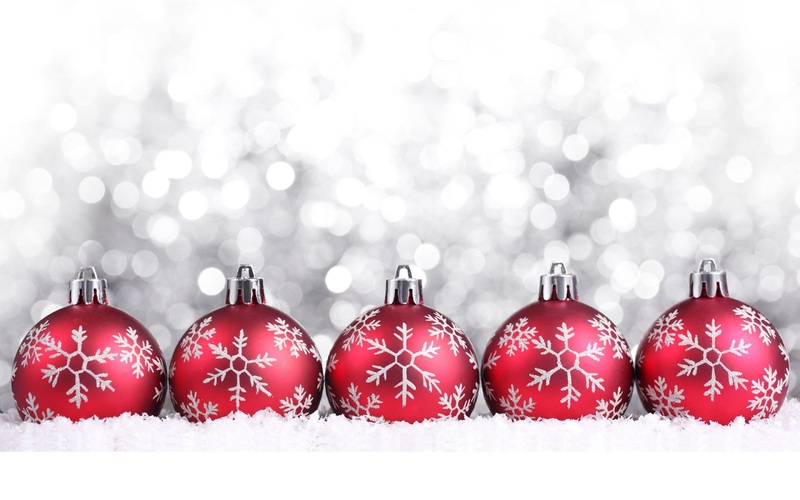 And, as promised, here are a few tips from us with advice on what you can be doing in the salon over the festive period to increase those Christmas sales! One month till Christmas. 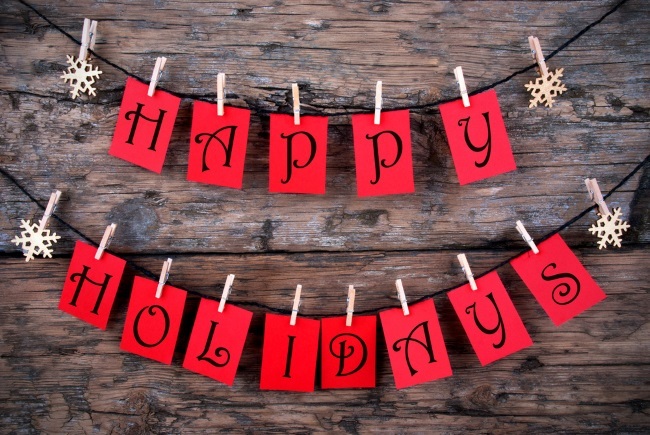 We bet December is one of the busiest months for salons and spas. Plenty of opportunities packed into the run up to Christmas. 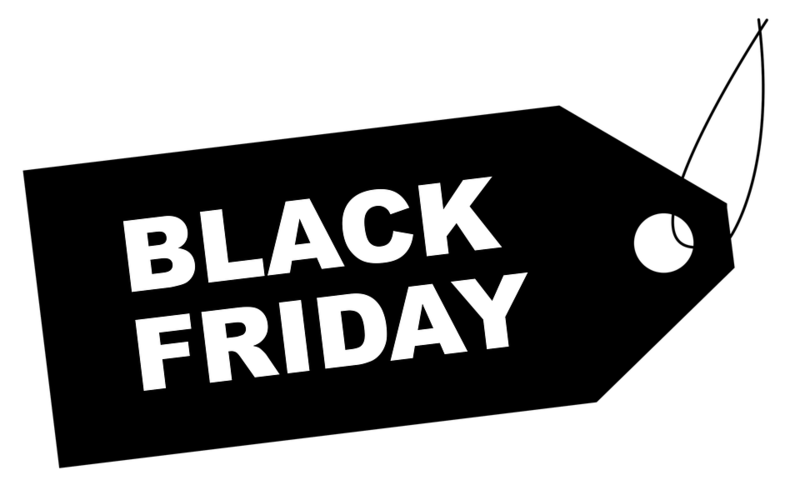 One of the biggest sales opportunities in recent years has definitely become Black Friday. Year after year, businesses throw out the best deals they can possibly think of this time of the year. The increase in popularity is hard not to notice since they are designed to boost sales and everyone seems to get on the bandwagon. In case you forgot, it’s Black Friday this week, followed by the first of Advent on Sunday. 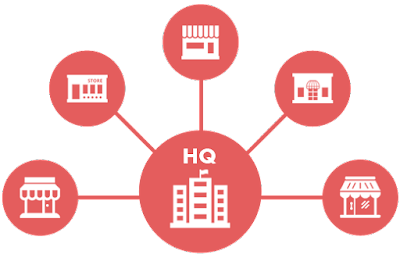 These days, not just retail shops participate, but many other businesses are involved. Meaning, especially for those working in the beauty industry, it’s just another opportunity to market your salon and pull some discounts out of your sleeve. The secret is to know when and how to get discounts out, in order to improve your salon sales. Sometimes, it’s unavoidable, especially when everyone around you is competing for the best deals. Luckily, the run up to Christmas is full of potential opportunities to boost sales. That’s why now is the time to really focus on your sales campaigns. You’ve got a busy month ahead of you that you should use to its fullest potential. So, to stay focused and not get lost in the discount jungle I’ve compiled some ideas that can help get the most out of the next few weeks, but also prepare you for any other upcoming events. 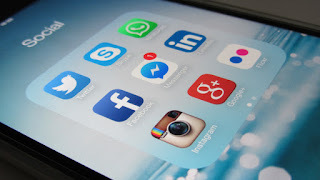 Social Media Marketing is so important to Salon businesses, and here's why! - A picture speaks a thousand words so it’s no surprise that 2016 is set to see some huge growth for businesses on various platforms including photo based apps such as Instagram and Pinterest. Any business can make themselves visual but you need a plan to find success using these apps. What do you do at your salon or spa to motivate clients to spend more? You are probably running the occasional marketing campaign of discounts and seasonal incentives to encourage customer to spend just a little extra, but what about music? Do you play any at your salon? And if so, what is your favourite to play? Are you more of a classical person or do you simply prefer the radio? You’re probably asking yourself: ‘why all these questions about music? What difference does it make what I play at the salon?’ Well, let me tell you, according to business and consumer studies, the choice of music you play at your business does have an impact on your clients buying behaviour. Music creates an atmosphere as much as your salon interior does. 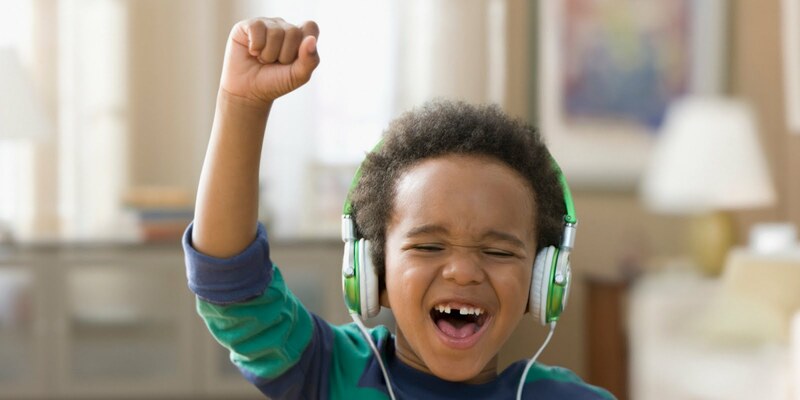 Studies suggest that music can influence your mood both ways, resulting in influencing your spending behaviour. Many supermarkets and retailers are using this strategy. Therefore, this can be applied to any business that welcomes customers, such as salons and spas, with the intention to boost their revenue. And yes, your music choices (playing no music is a choice as well) can influence your client’s mood in a positive or negative way. While some stores play or don't play music without a second thought, the significant effects of music have been identified in dozens of academic studies, according to Business Insider. 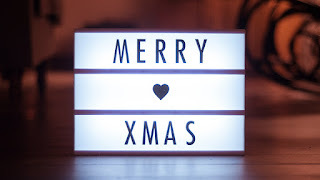 After Halloween and through to the start of Advent, you may notice a slight lull in sales and salon appointments, as clients are reluctant to book in too early before the festive period so that their treatment lasts them in time for Christmas day. But then you'll find, come December 1st you’re bursting with custom, having to turn walk-ins away and all of a sudden you are fully-booked when you had plenty of vacant appointments some few weeks earlier. So if you currently have our salon software, great, this post will help you to maximise how we can help you to boost those sales with our marketing features. 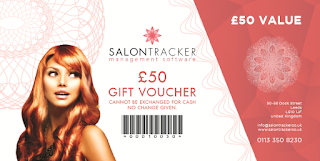 If you don’t have our software, listen closely as there may be something in here that you think may help your business, and remember you can always trial Salon Tracker free for a fortnight to try these tips out! We have complied various different looks and ideas and hopefully there is something for everyone. It seems that over the last few years, times have changed and the good old bin-bag witch’s cape and your mum’s old eye liner pencil for blemishes aren’t quite good enough for your Halloween make-over/ (scare-up)! Nowadays, everyone wants immaculate ghoul-themed manis/pedis, a professional ‘bad hair day’ and still want to have a top-contour underneath their scary facial! With arts and crafts out of the window, this is an absolute winner however for salons and retailers! 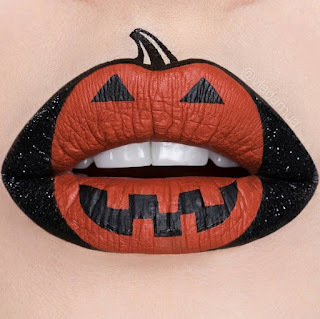 Everyone wants the most on-trend Halloween outfit with the senior make-up artist to complete their look, so what a great opportunity to put a few Halloween offers on and bag yourself some easy sales! It is no secret that online reviews have increased significantly over the past few years and can play an important factor for your business. But how important are they really? Nowadays, it is one of the most common things when looking for a new salon to check them out online first. It gives you, as a potential new client a better idea of the business and if it is the right fit for you. Therefore, hearing from previous experiences and what others think of the salon, is crucial for people these days, before making a decision. There are many review platforms out there: Facebook offers a review section for Pages, Yelp is overall popular for local businesses, but if you are looking for salon-specific review sites, SalonSpy in the UK is the way to go. But, remember if you do, it’s important to keep them up to date, make sure you have correct opening hours, contact details and pricing on there, to avoid disappointment, especially if you are using SalonSpy. As we head in to autumn, clients are looking to pro-long their summer glow for as long as they can in to the festive period. However, for all tanning clients, and especially those that tan frequently, there are some extremely important factors that tanning salons must take in to account to number 1, ensure that the clients in mention are safe and, no 2, to maintain business security in the process. But you can’t do this on your own. So having said that, the first thing that we would recommend is that you have an expert team to help aid in running your salon. You will want each employee to have had adequate training, be aware of the tanning regulations, and be comfortable in advising clients with tanning advice relevant to skin tone. Now with Professional Beauty North past us it’s almost that time of the year. The days are getting shorter, the leaves turn colourful again and then there’s Christmas. 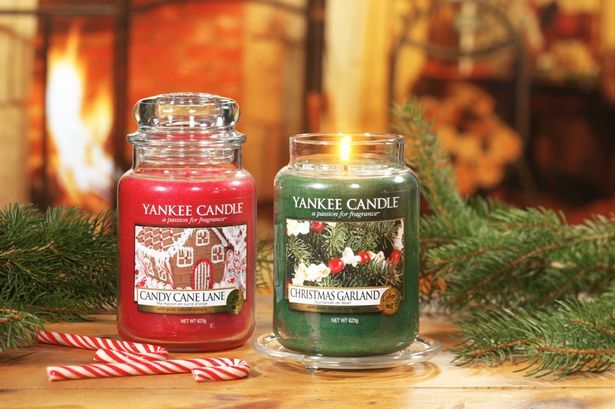 It feels like summer has just ended and now you’re proably thinking 'you're mentioning Christmas – already'?! 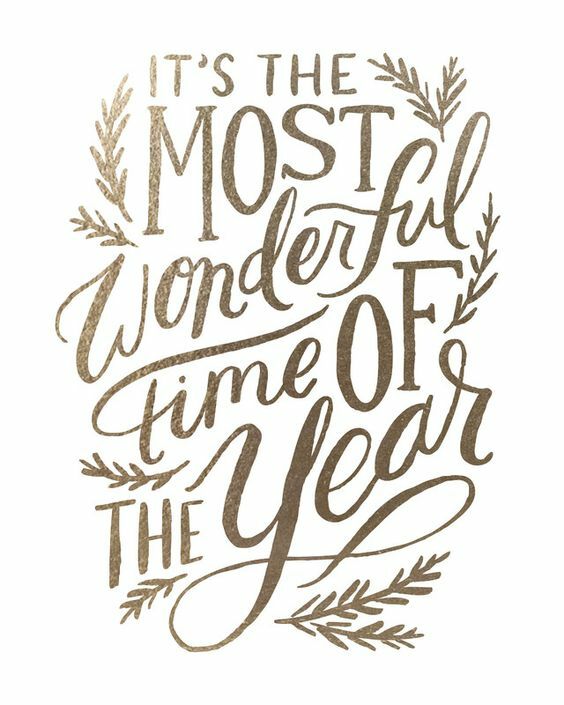 But for many salons this is one of the busiest times and there are so many opportunities leading up to Christmas; Halloween, Bonfire Night, Black Friday and the Festive Period itself. 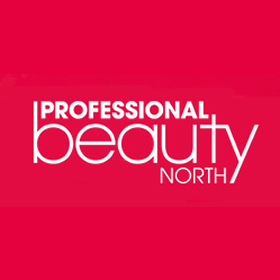 Professional Beauty North Round Up! Thank you everyone who visited our stand at Professional Beauty North in Manchester. We are extremely happy with the outcome of the show and it’s been great meeting so many of you. This has been the first trade show I’ve ever attended, so for me it’s been great to see what it is all about. This year’s show has been the second time we exhibited at PB North and every year it's getting better and better. We had a very busy two days, meeting existing clients of ours as well as plenty of potential ones. We are certainly busy at the office getting through all of the enquiries now. If you have missed our exclusive show offers and unique features, here’s a quick summary. All of our show offers are valid until 31st October 2016! This September is Salon Tracker’s second time exhibiting at Pro Beauty North, and so after gathering experiences from our previous exhibits, we have put together a little show guide on how we can help you to maximise your time at a trade show to its full potential. Trade shows are a great place for businesses to network and they are also full of opportunities for you, as salon owners, to take advantage of and invest in your business. We are exhibiting at Professional Beauty North again this year. This is our second time at the show and we are very excited to bring our new team members with us (Danny, our new Tech Support Consultant and myself, Lydia, new Marketing and Sales Assistant). This will be my first Trade Show and I’m very excited that I’ve been given the opportunity to attend and meet all of you there. The Salon Tracker team will be available on Sunday and Monday all day for any questions, demonstrations or general inquiries. We are specialists in our field so don’t worry if it all seems new to you. Find us at Stand C42 and have a look at what we do. Come on down to Manchester, there is plenty to see at the show and the city. Salon Tracker: How our Salon Software can help to improve your Tanning Business and Client-Safety! As summer draws to a close, tanning salons see a drastic increase in the amount of clients wanting to rush to the tanning salon to keep their sun-kissed summer look. A great boost for sales, however is your tanning salon as safe as it could be? I’m not sure if you are aware, but since 2011 it has been legally forbidden in the UK for anyone under the age of 18 to use a sunbed, and consequently, salons that haven’t conformed to this in the past have then found themselves facing a £20,000 fine. Trading standards and local councils regularly do unannounced check-ups on tanning businesses and therefore you don’t want to find yourself being subject to a penalty like that for something minor, that could have been so easily prevented. 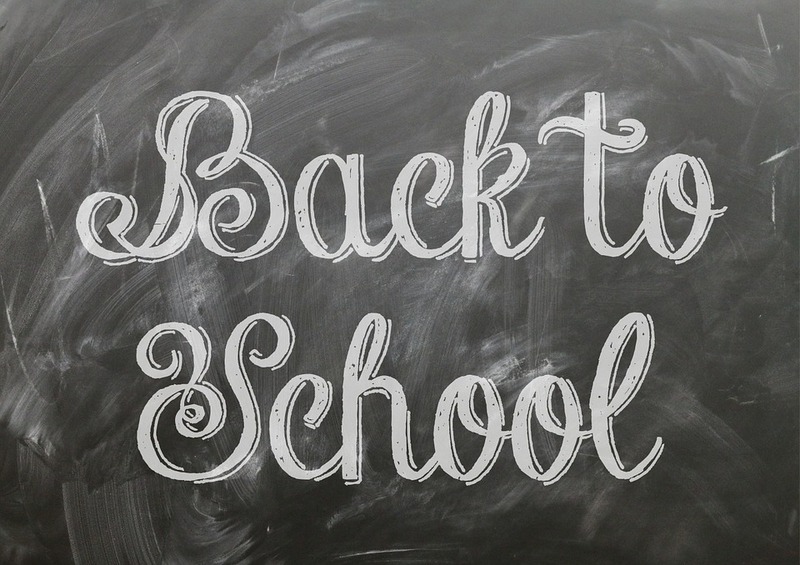 Salon Tracker Software’s Tips for Improving Sales during the Back-to-School Season! For those of you that already follow our news page, you may recall that we offered a little advice this time last year about how you can capitalise on the Back-to-School period. If you didn’t quite catch it, we’re going to run over a few of those points again, just to make sure you push those sales in the run up to the kids heading back to class! Bank Holidays – we all love them. A nice, long weekend to relax, catch up with family and friends or explore what’s going on in town. As a business or salon owner this may be a busier time of the year. Therefore, this might be a crucial time to carry out exclusive offers and campaigns to boost your business and grow your clientele. Creating discounts for the Bank Holiday Weekend is easy, the question is how you ensure that your customers get the message and take advantage of it. Here are five marketing tips for the Bank Holiday Weekend that will help to optimise bookings throughout August and September. Security is a very important factor to any sized salon business, however sometimes the precision of security can become slack due to busy periods, or just a lack of tools in which to help keep security tight. Our salon software has specialist features built in, to keep not only the salon secure, but also the clients details as well, which also means that no one other than the client themselves can activate their client card. A great feature for salons that have sunbeds and also treatments that require a patch test beforehand, as our secure features eliminate the chance of anyone using another clients' details in their name illegally. For those of you that have been following our news page for some time now, you’ll be aware that we exclusively exhibited at Manchester’s Pro Beauty North last September, followed by our first ever London show in Feb earlier this year. After having lots of fun at what were two really successful events for us, we have decided that we want to go and do it all again this year at PB North 16! First off, why do we think it’s important to attend a trade show? Living in a world where everyone is constantly on the go, running their daily lives from their mobile phones and even tap and paying for things with their devices, if your salon doesn’t already offer online booking, are you missing out on a big market opportunity? Accessible to clients 24/7, online booking can help you to enjoy your days off, weekends and holidays, knowing that your salon is consistently making money even when business doors are closed. The service is a great way for those in unsociable hours to contact you without having to phone the salon to find it is after opening hours and there is no one to answer the other end of the line...which could be a missed sales opportunity for you, and a profit for your competitor down the road. Keeping track of every aspect of your salon business can become very difficult and time consuming once you are past the start-up stage. 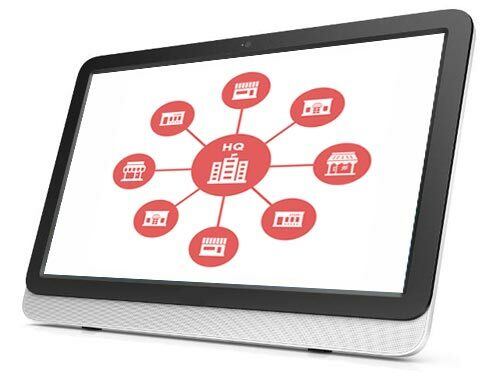 Especially as your client database grows and even more so if you are the owner of a multi-site business. Your customers’ salon journey starts from the moment they walk through your salon door, not just the duration of their treatment. First impressions are the biggest factor in client retention, and this impression will be long lasting and most likely what they tell their friends about, so you want to make sure it is a good one! Our salon software is designed to help make this journey much more seamless, less stressful and organised for both you guys as salon owners, your therapists and then also, the client.